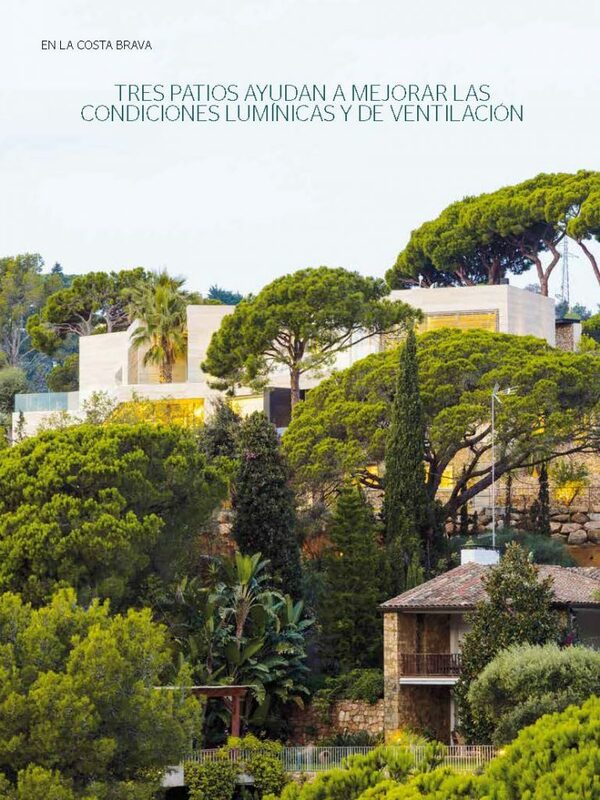 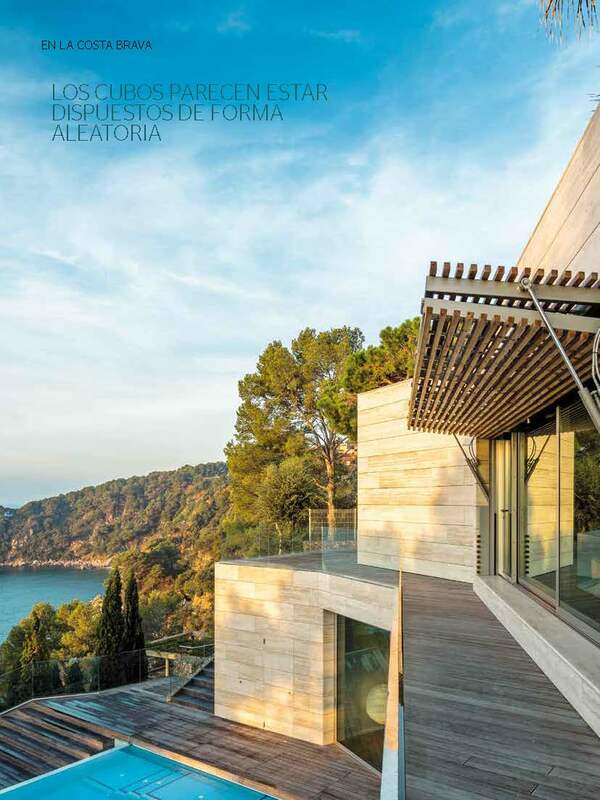 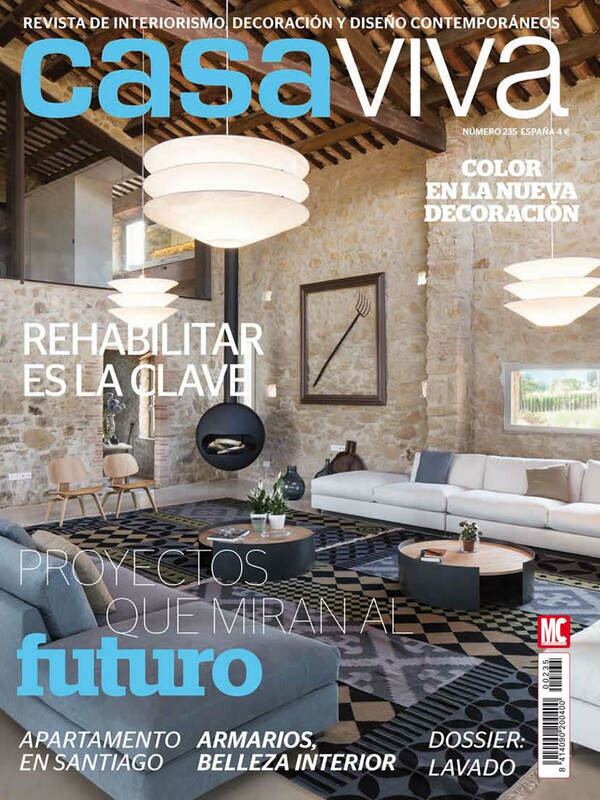 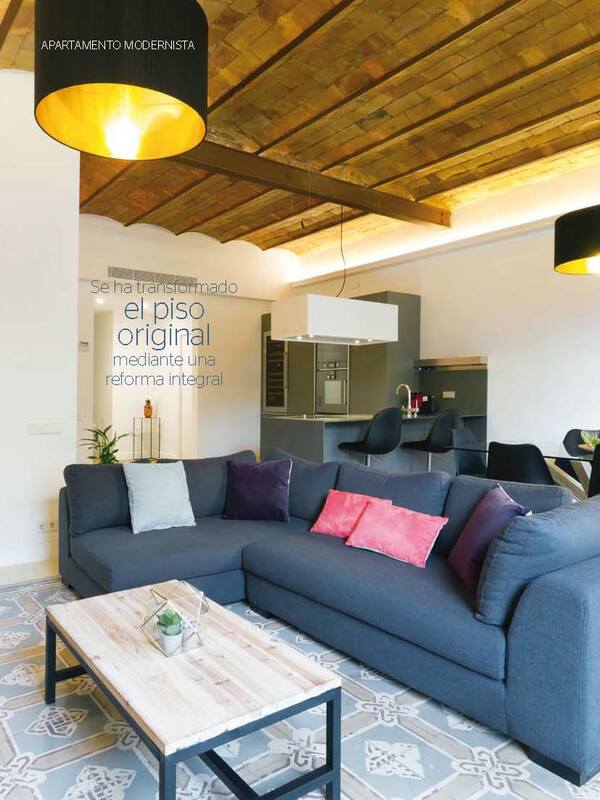 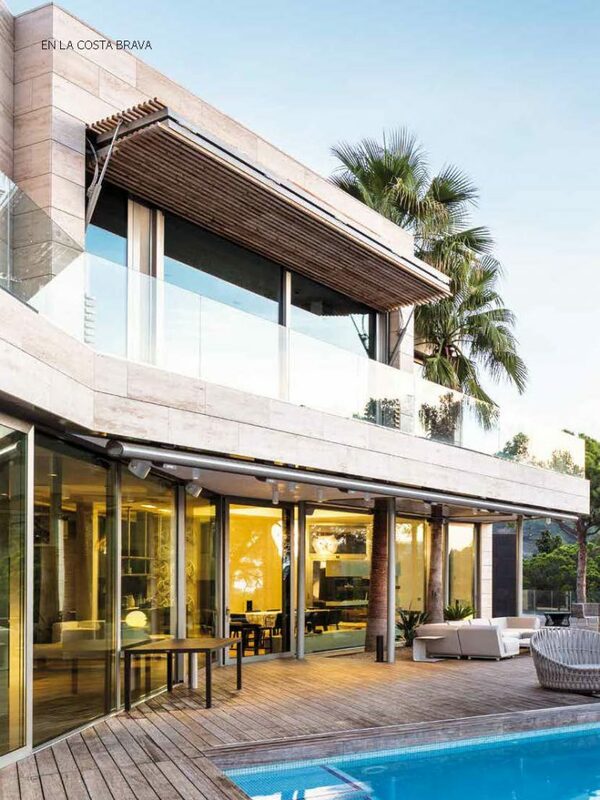 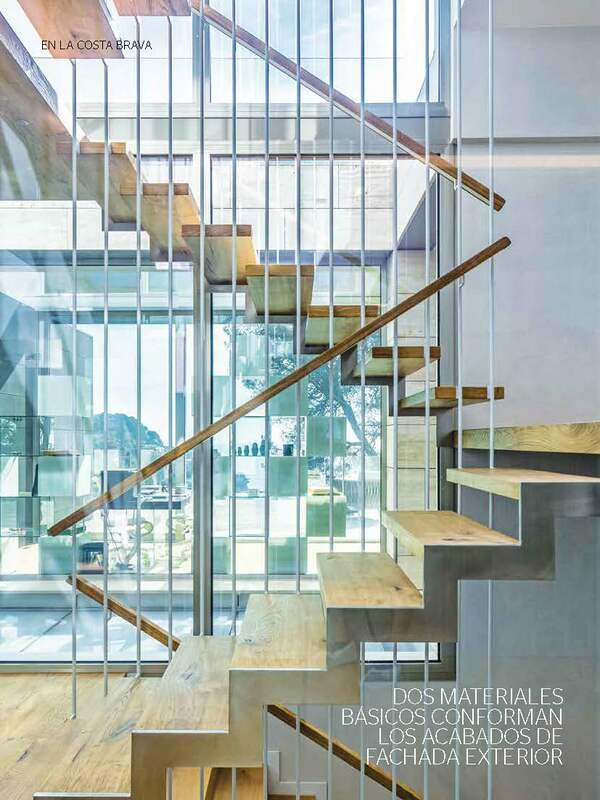 The number 251 (March 2018) of Casa Viva magazine shares the comprehensive reform project of the Dosarquitectes studio by Francesc Aromir and Cristina del Pozo. 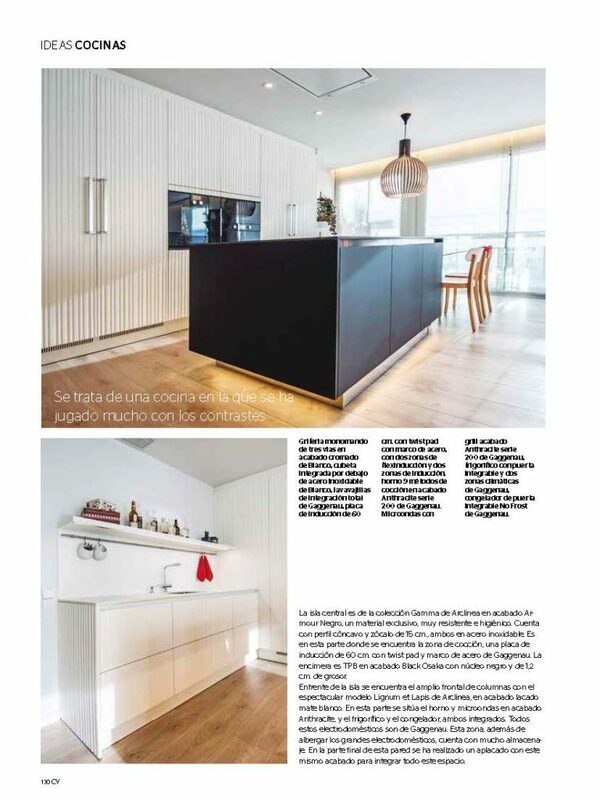 A project in which Arclinea Barcelona has designed and executed the open kitchen in this “Contrasts Game”. 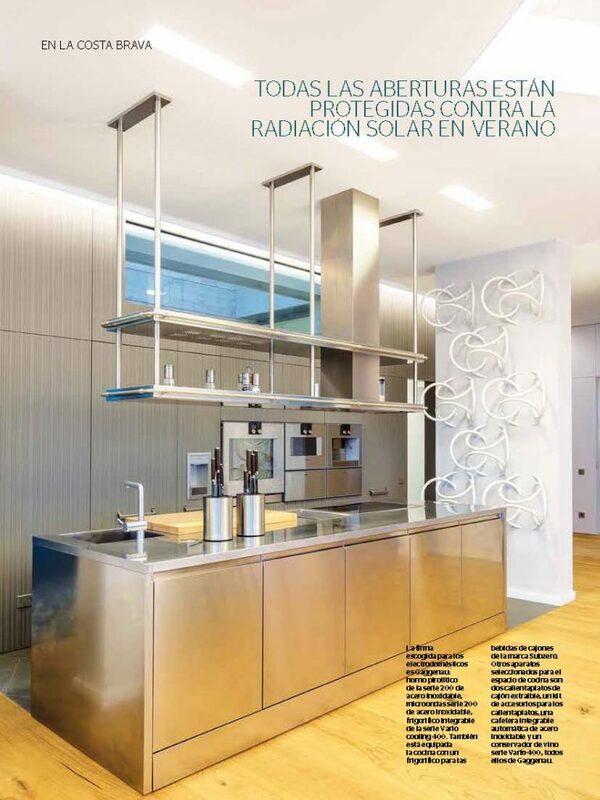 A kitchen that has played with the contrasts of materials and tones. 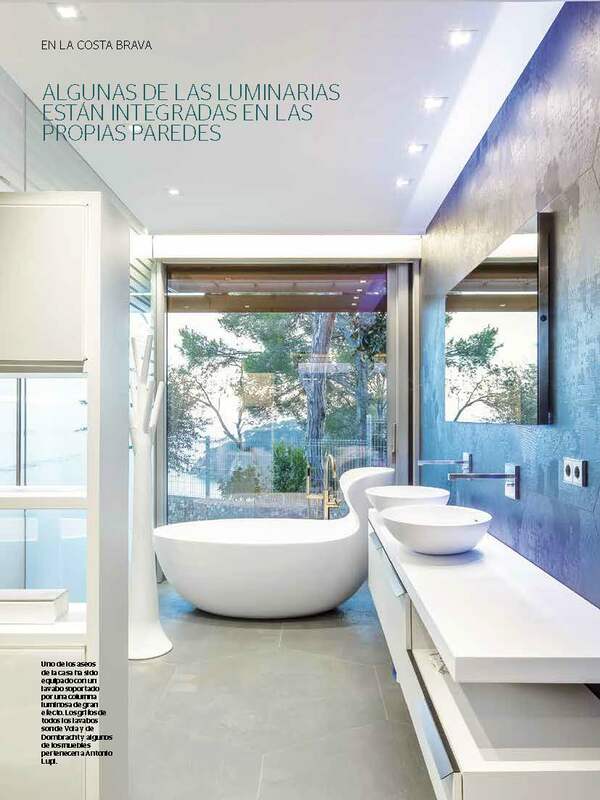 Fronts in white in the finish Lignum et Lapis stand out facing the island, which are imposed in the centre of the space as a monoblock in the Armor finish. 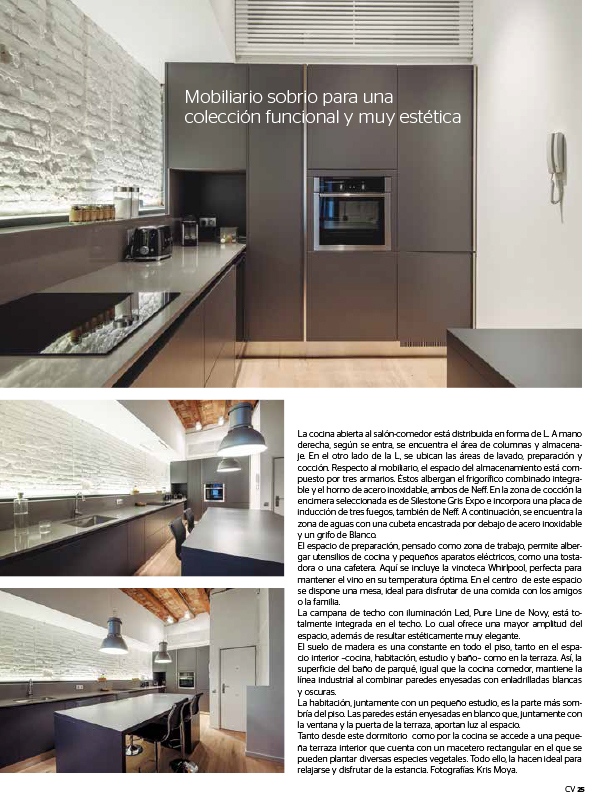 The central island is from the Arclinea Gamma collection in black Armor finish, an exclusive material that is very resistant and hygienic. 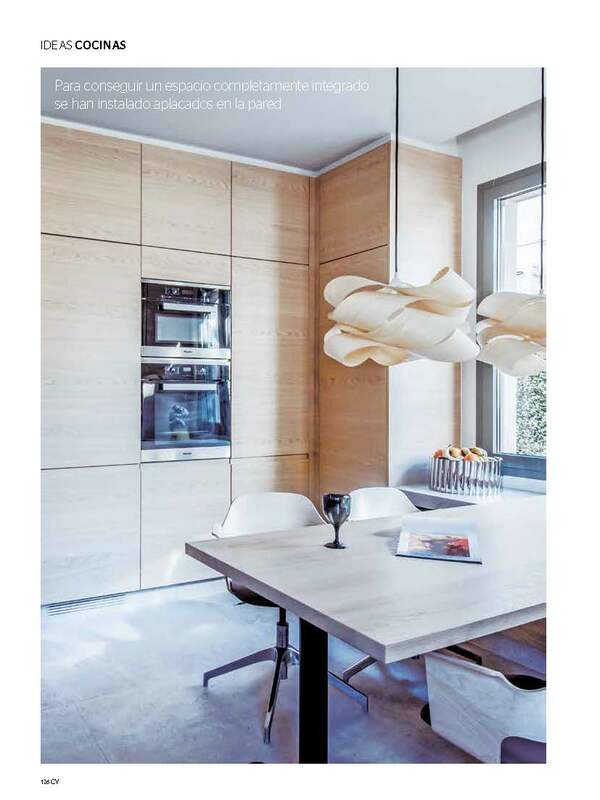 In front of the island is an incredible front in the Lignum et Lapis line in white mat lacquered finish. 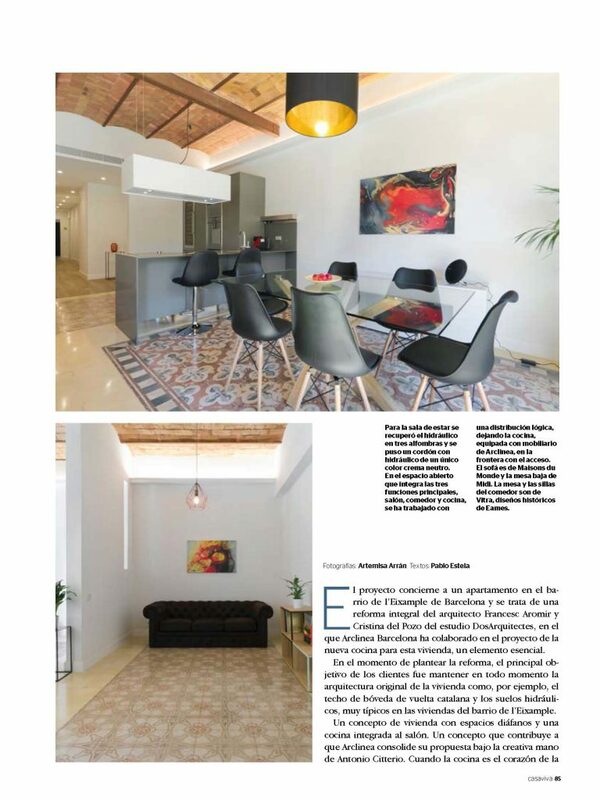 Many thanks to the magazine Casa Viva for the publication! 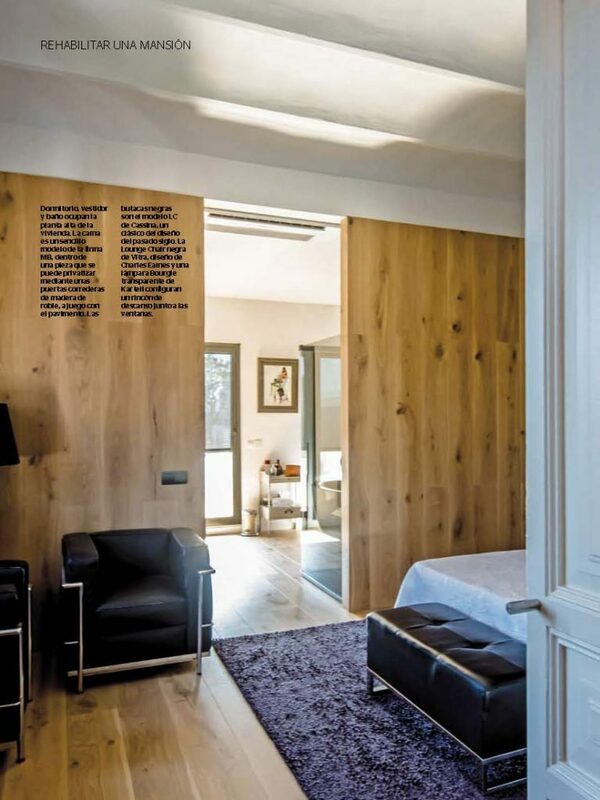 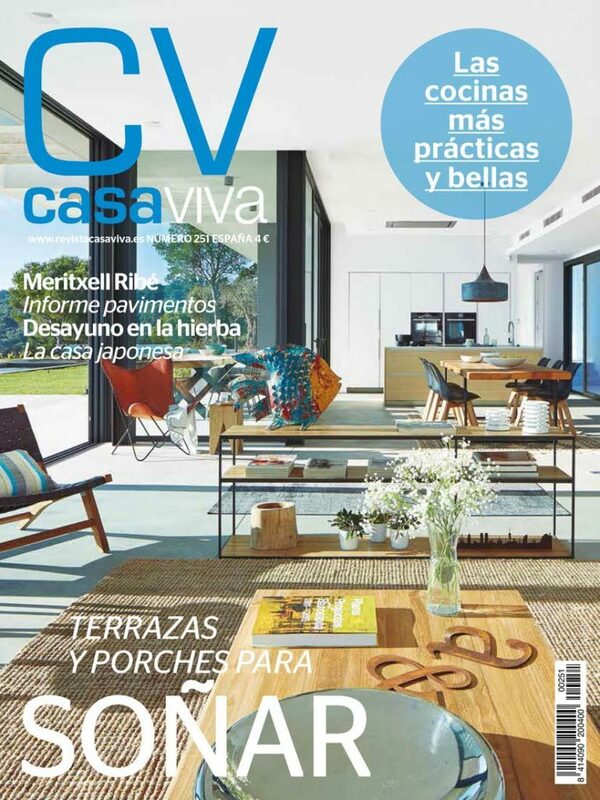 Our project “The elegance of Natural Oak” appears in the number 249 (February 2017) of the magazine Casa Viva. 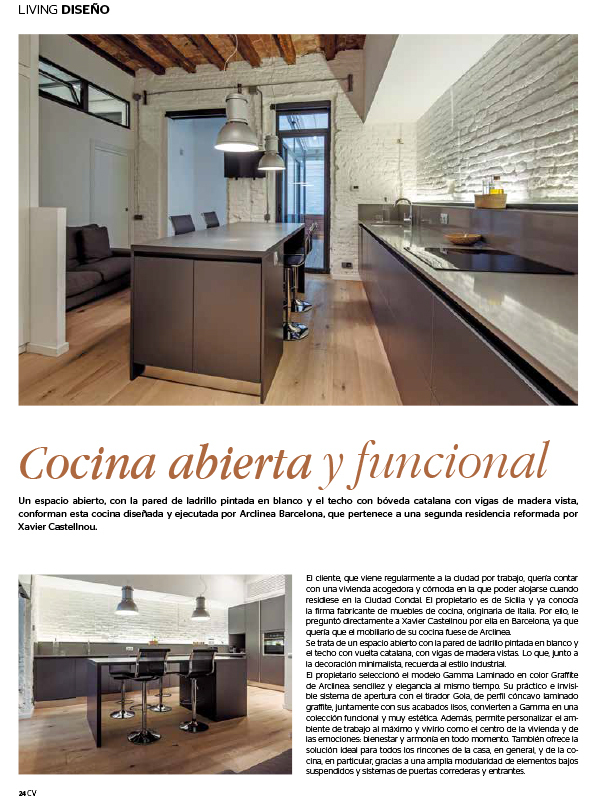 It is a space within a reform made by GCA Architects in which Arclinea Barcelona has designed and executed the kitchen. 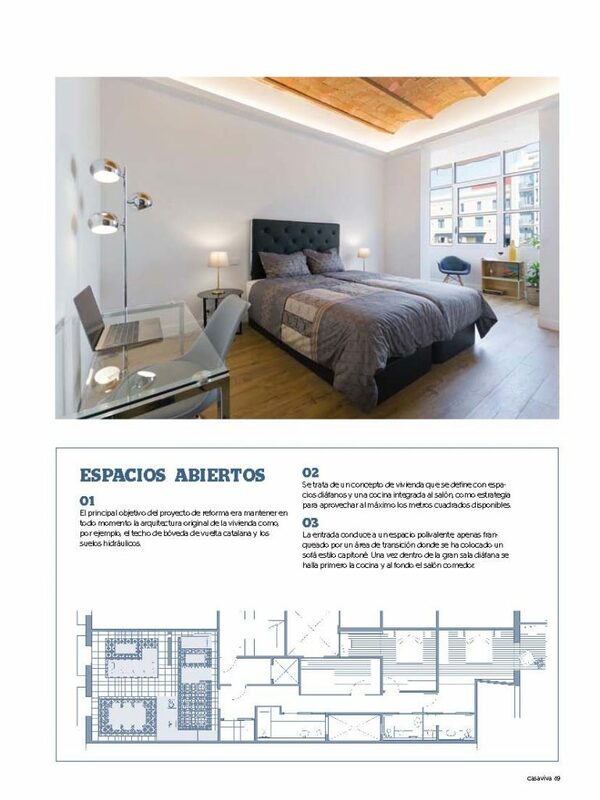 A functional space and equipped to detail, which is perfectly integrated into the whole construction. 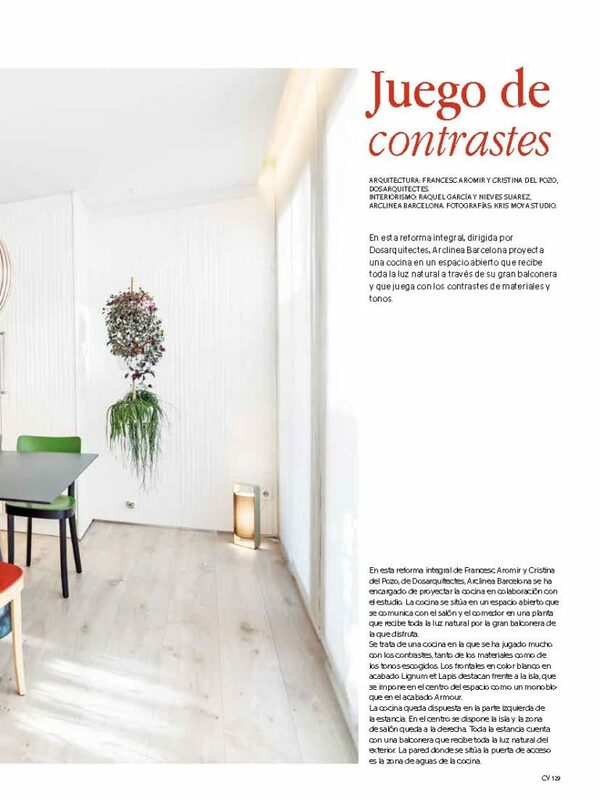 The selected model is Gamma Laminate in Natural Oak NTF finish and the Convivium Elegant collection in the same finish for the front of columns. 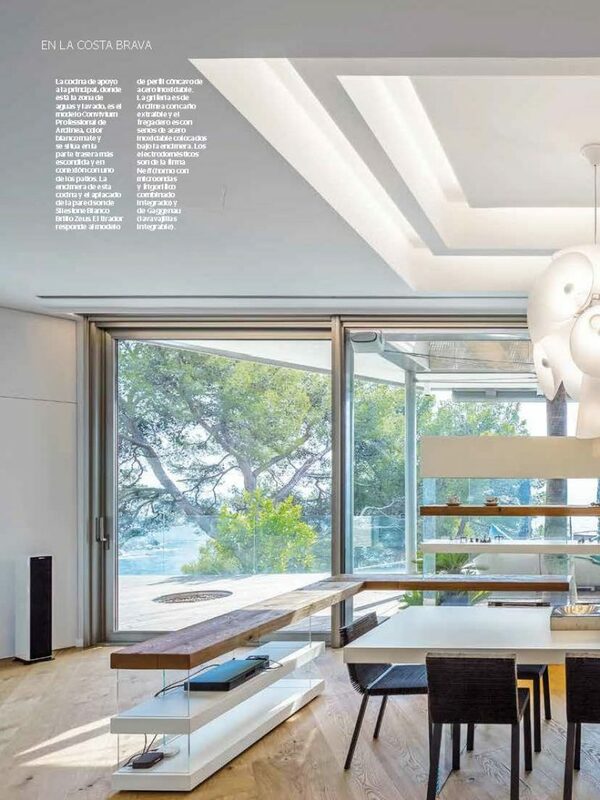 In this way, the space is filled with warmth and elegance in equal parts. 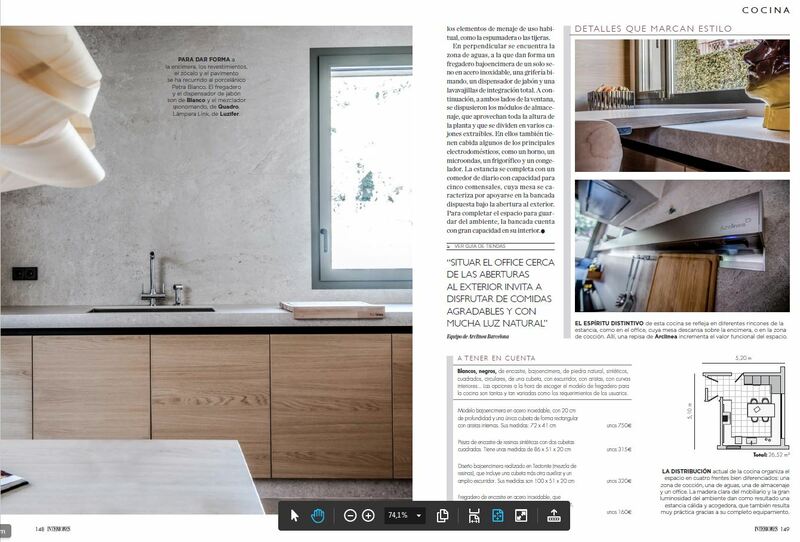 Our project “The elegance of Natural Oak” appears in number 206 (February 2017) of the Interiores magazine. 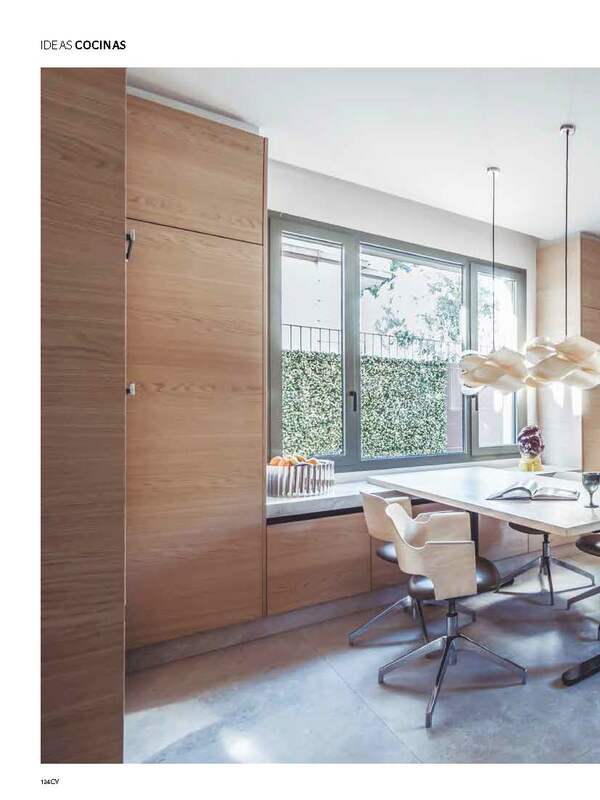 It is a space within a reform made by GCA Architects in which Arclinea Barcelona has designed and executed the kitchen. 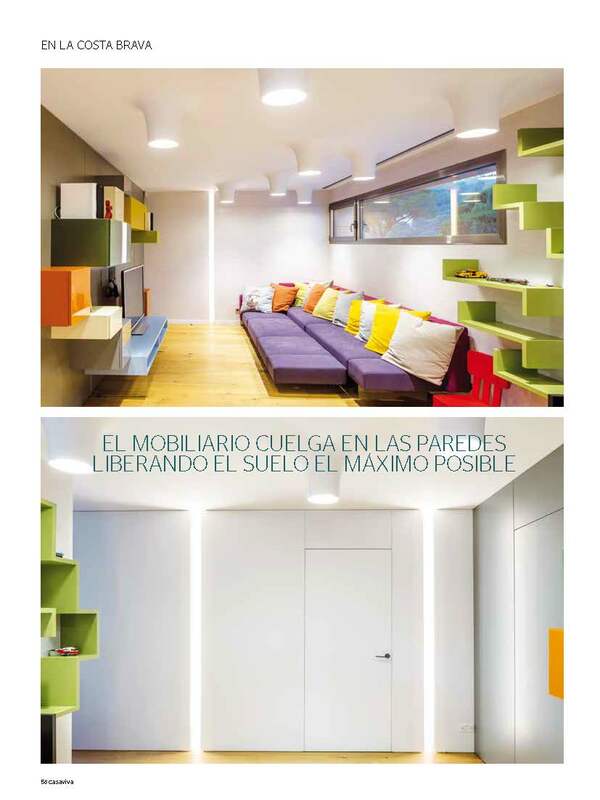 A functional space and equipped to detail, which is perfectly integrated into the whole construction. 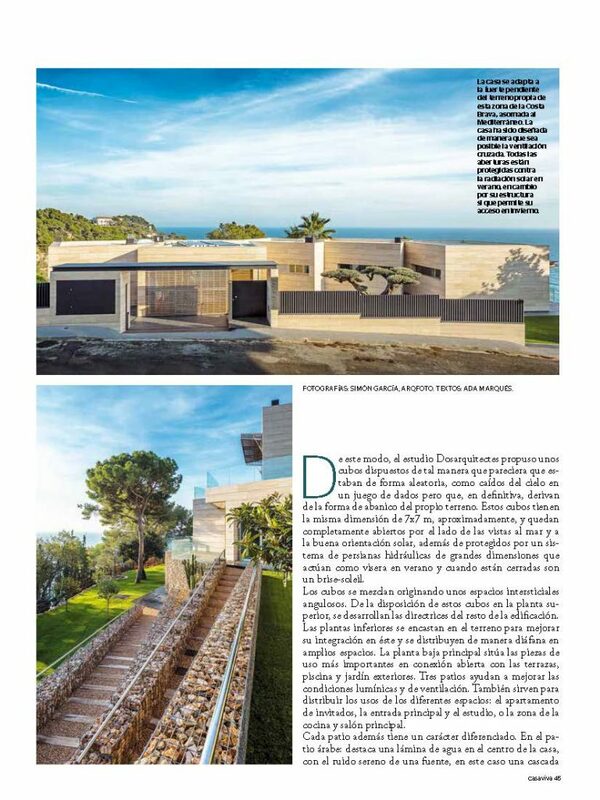 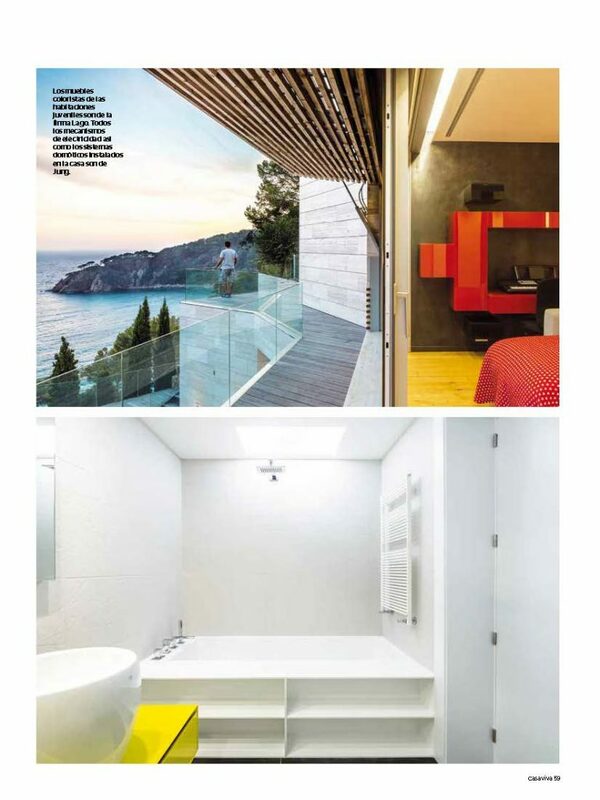 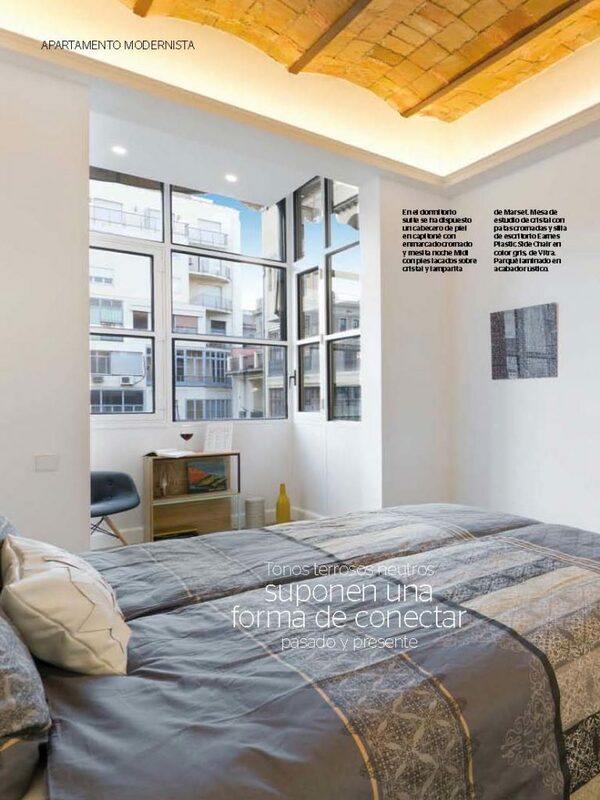 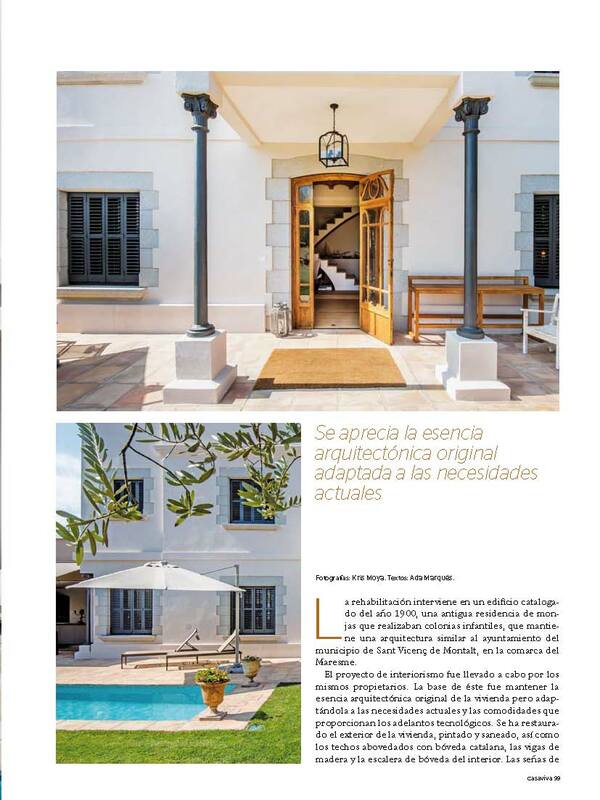 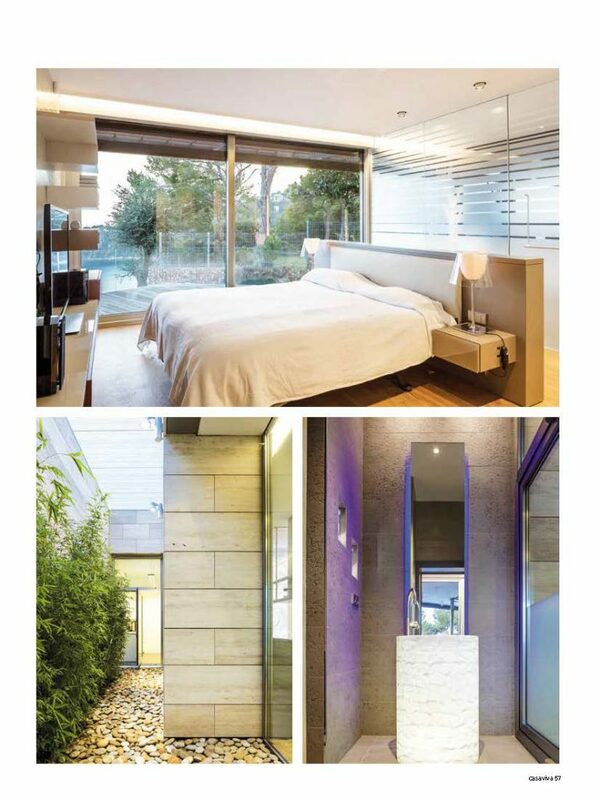 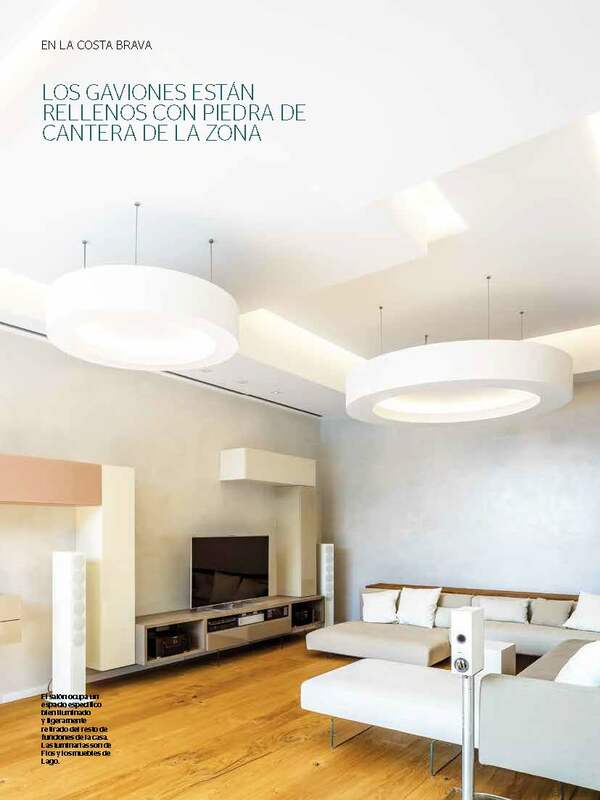 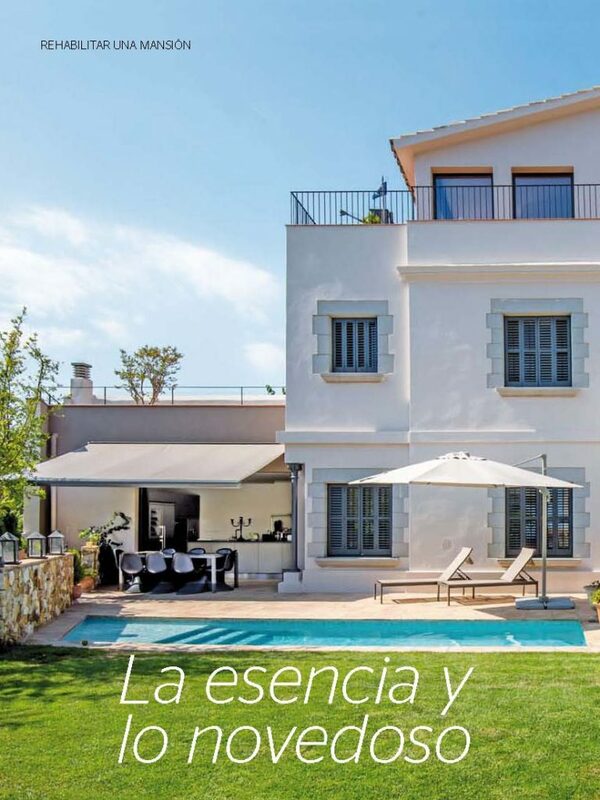 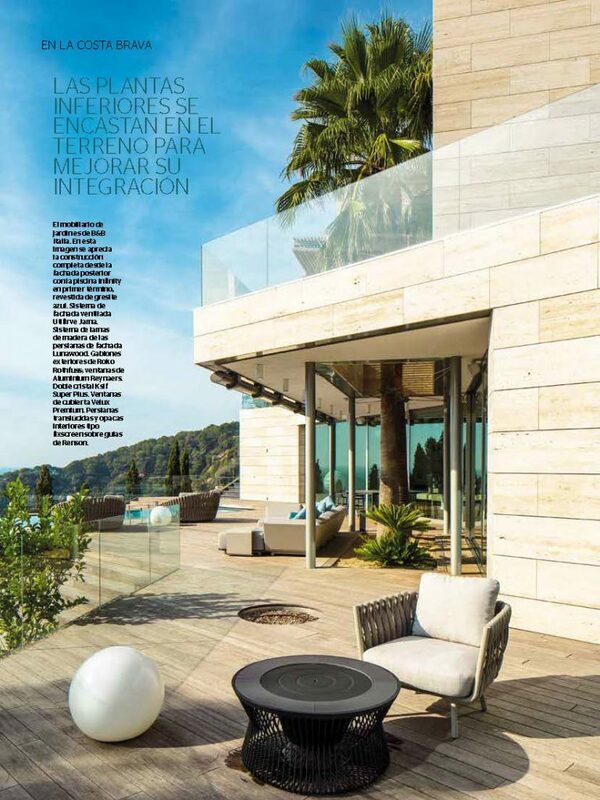 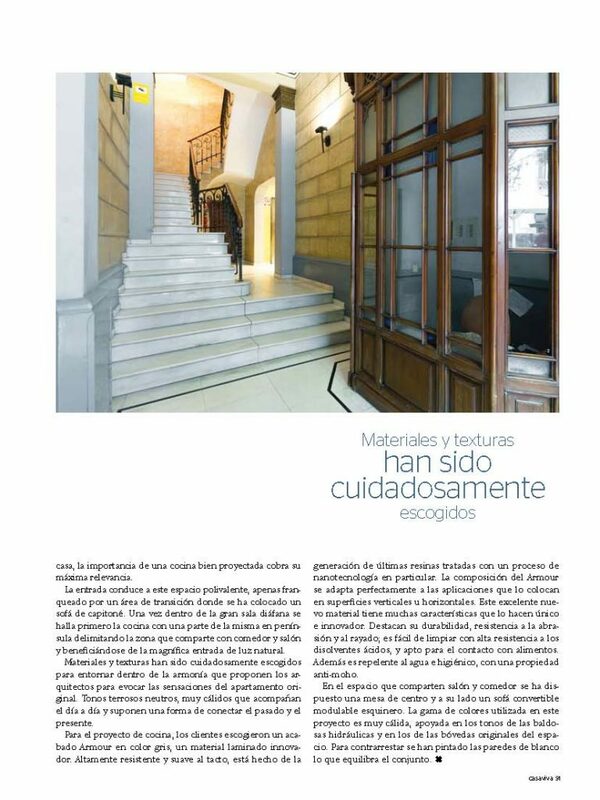 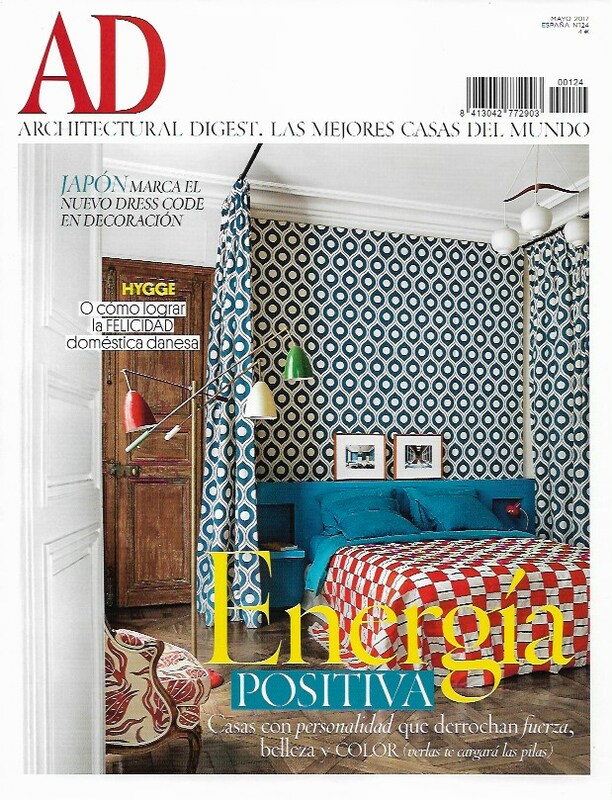 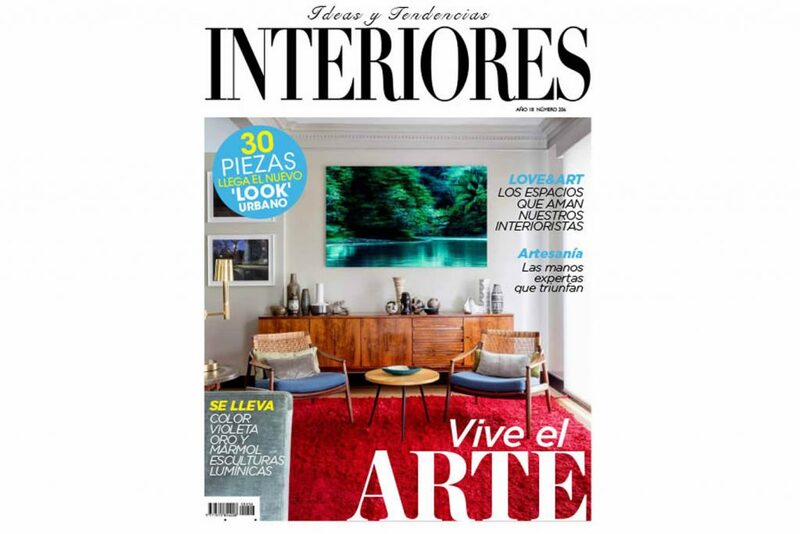 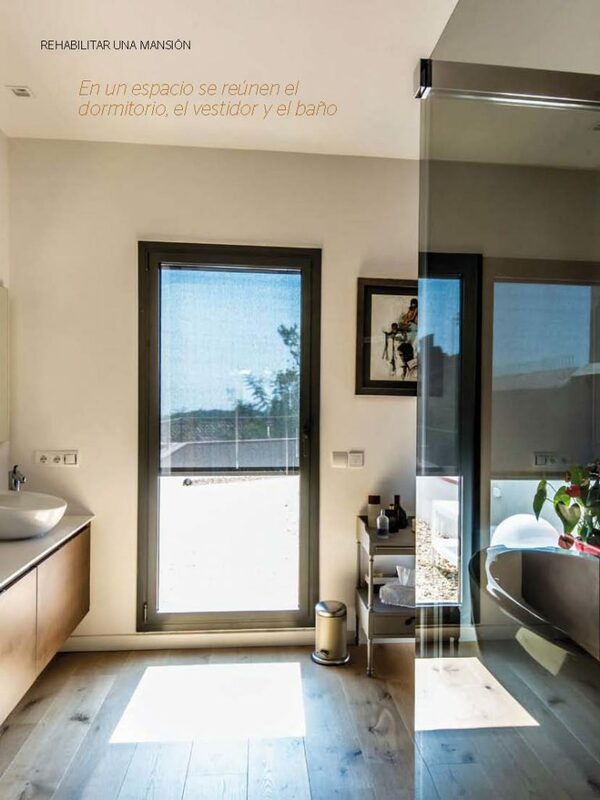 Many thanks to Interiores magazine for the publication! 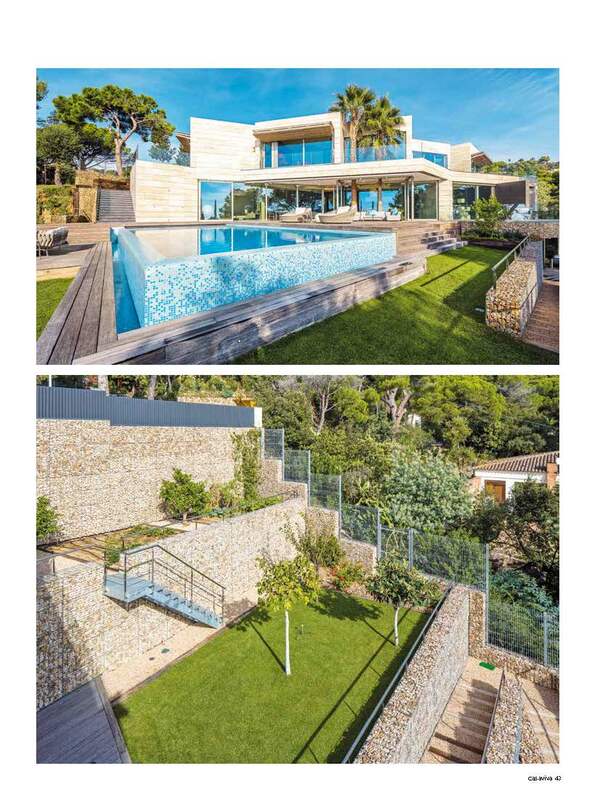 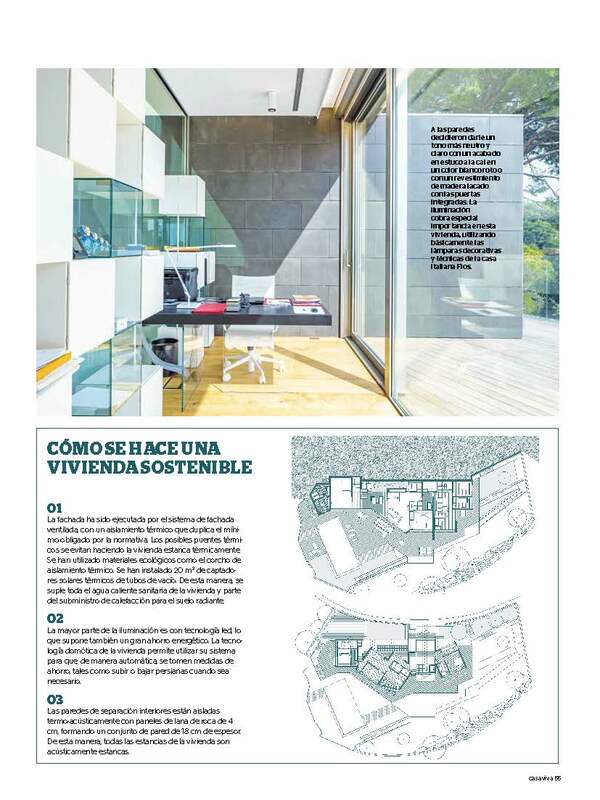 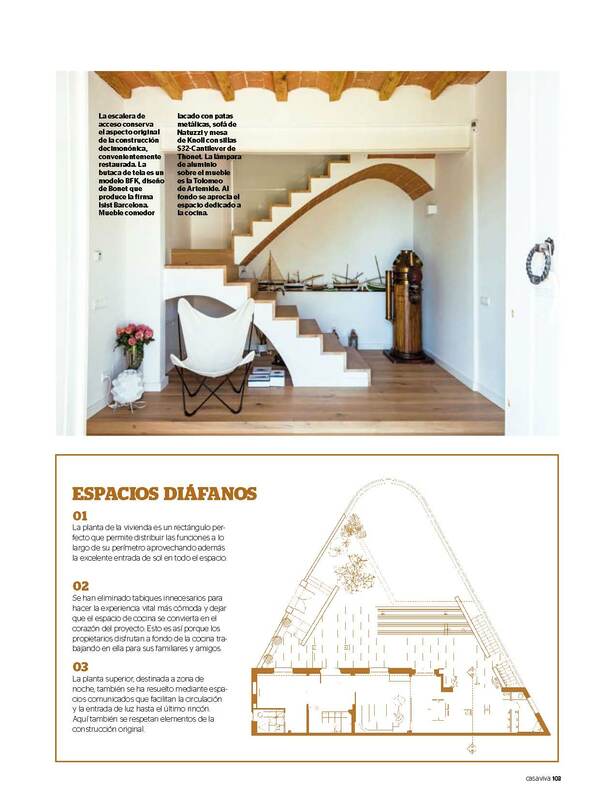 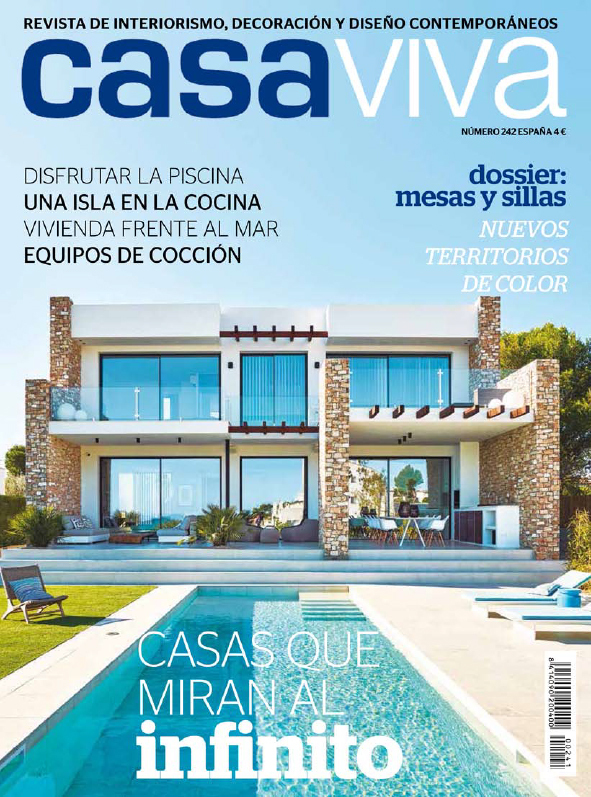 Our project “Catalan Vault” appears in the number 246 (November 2017) of the magazine Casa Viva. 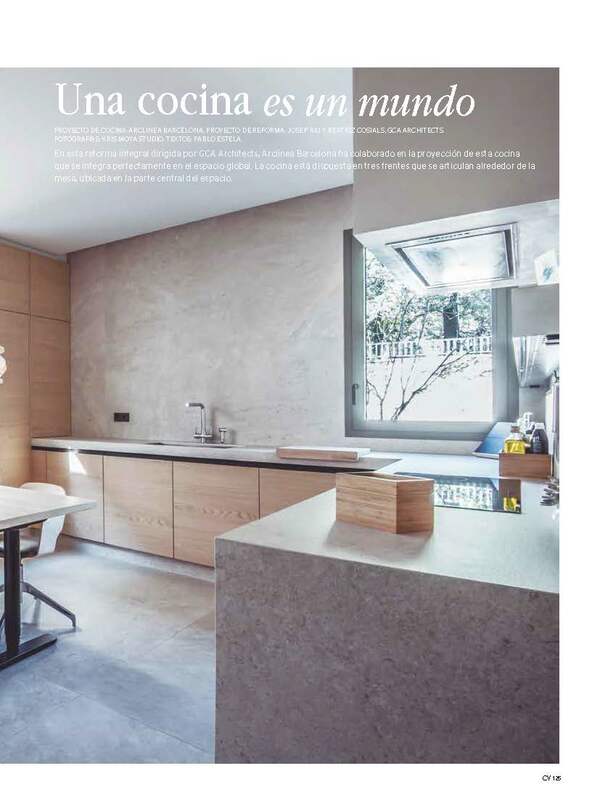 It is a space within a reform made by Xavier Castellnou in which Arclinea Barcelona has designed and executed the kitchen. 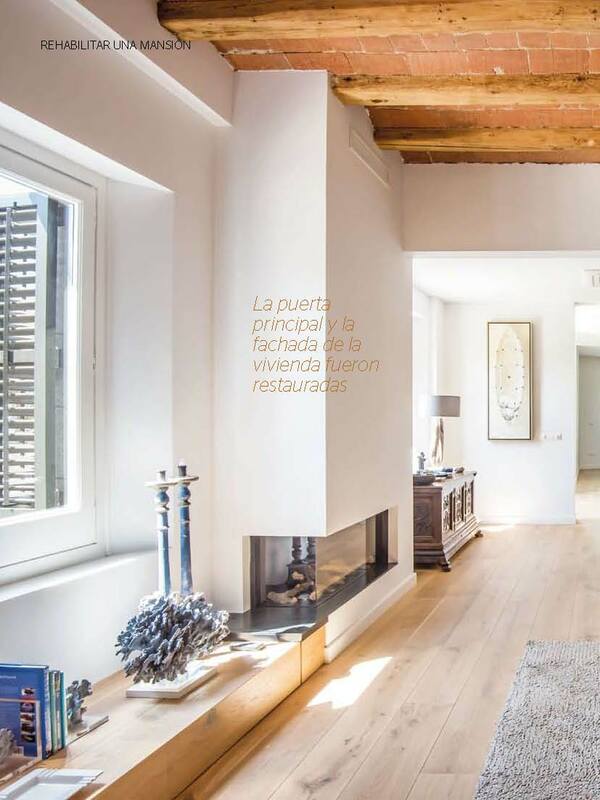 An open space with a brick wall painted in white and the roof with a Catalan turn, with exposed wooden beams which, together with the minimalist decoration, reminds of the industrial style. 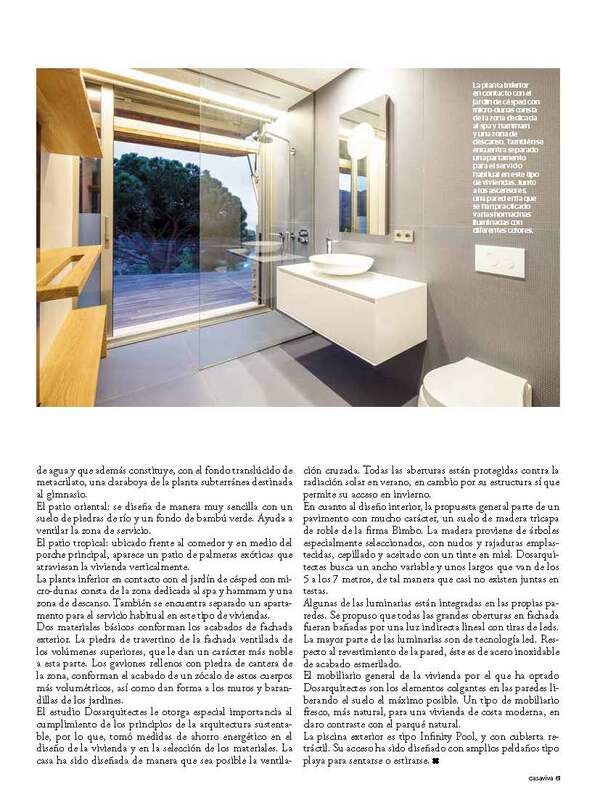 The selected model is Gamma Laminated in Arclinea Graffite colour: simplicity and elegance at the same time. 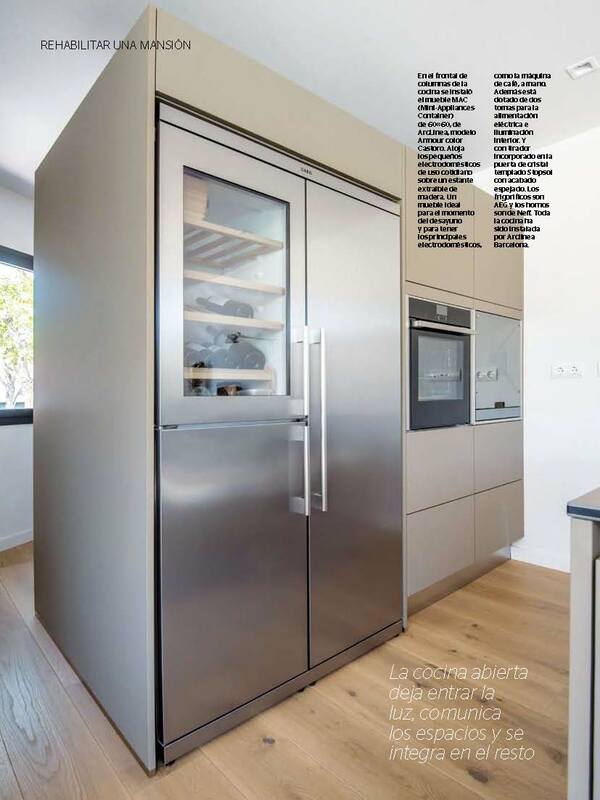 Its practical and invisible opening system with the Gola handle (concave profile laminated graffite), together with its smooth finishes, make Gamma a functional and very aesthetic collection. 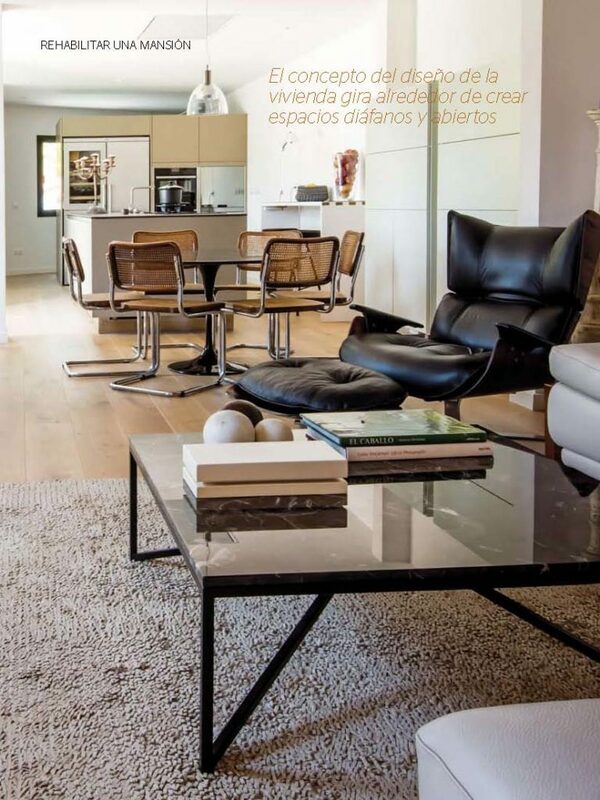 Neutral area in a contemporary home with architectural balance and its own style. 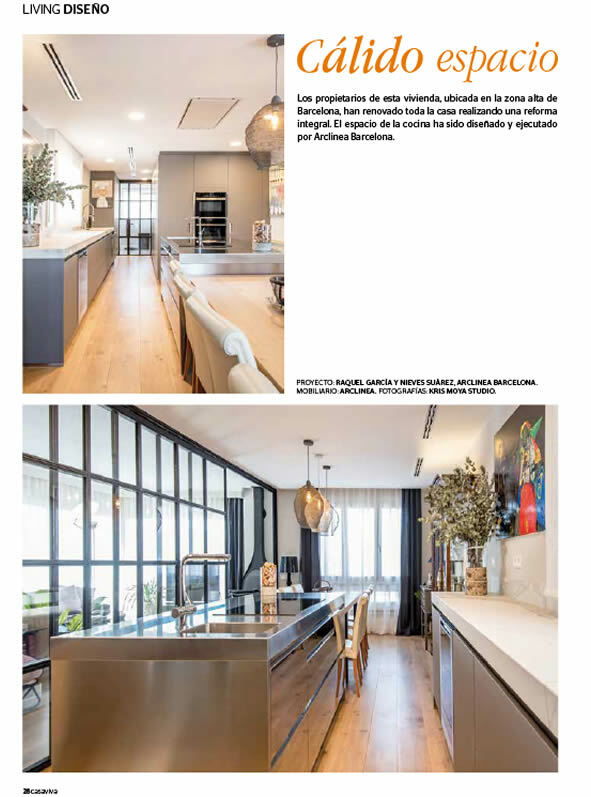 This project of integral reform has been carried out by the architects Francesc Aromir and Cristina del Pozo of the Dosarquitectes studio, in which Arclinea Barcelona designed and executed this incredible Arclinea kitchen, in the Gamma collection finished in Armor grey. 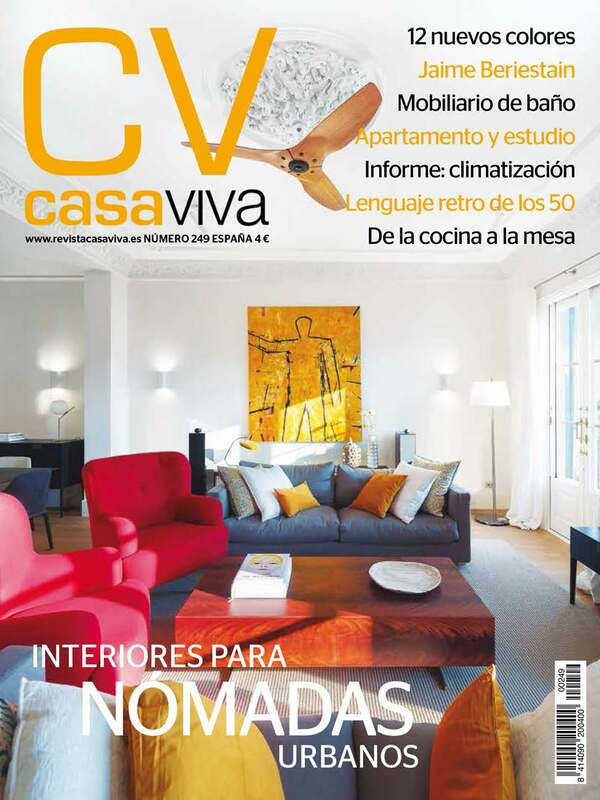 We are delighted to appear again at Casa Viva! 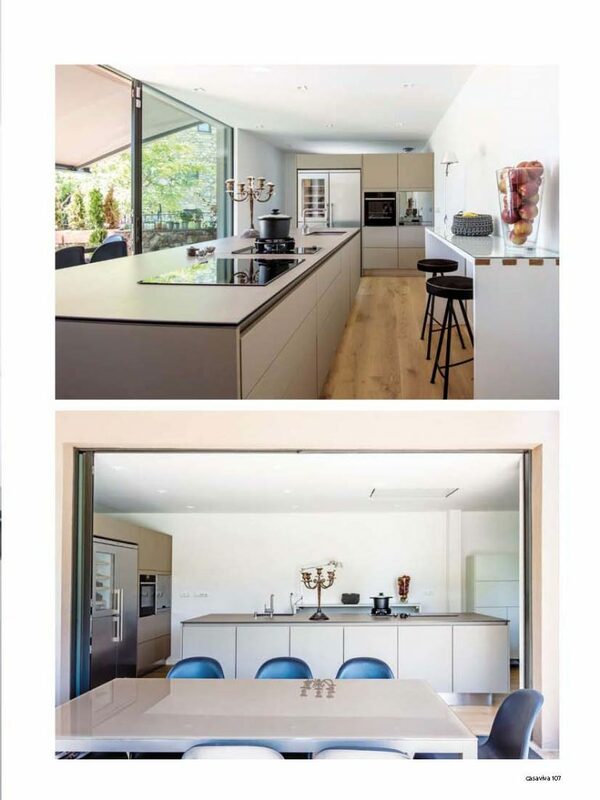 The main kitchen of the house is fully integrated into the space for daily use. 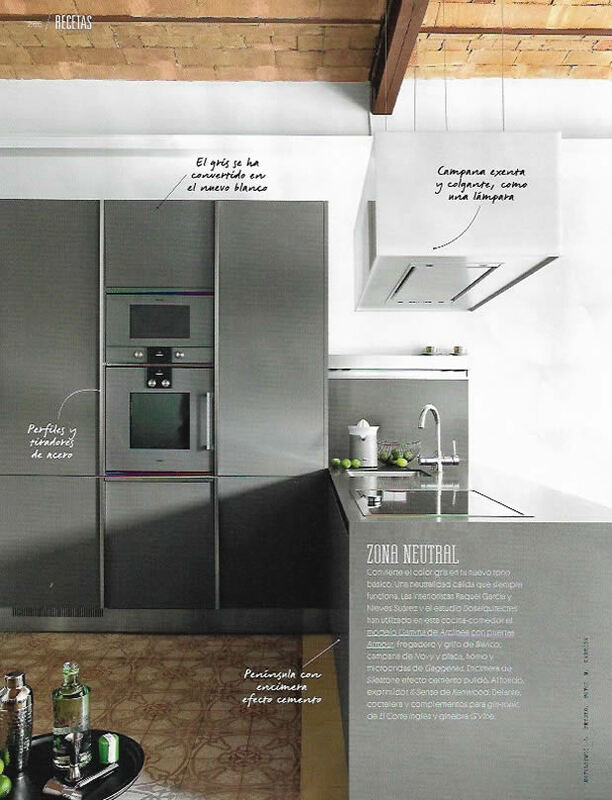 The grey-green frecado paneling of the Lignum et Lapis model stands out in the column and service wall area, which contrasts with the island in a stainless steel Convivium model. 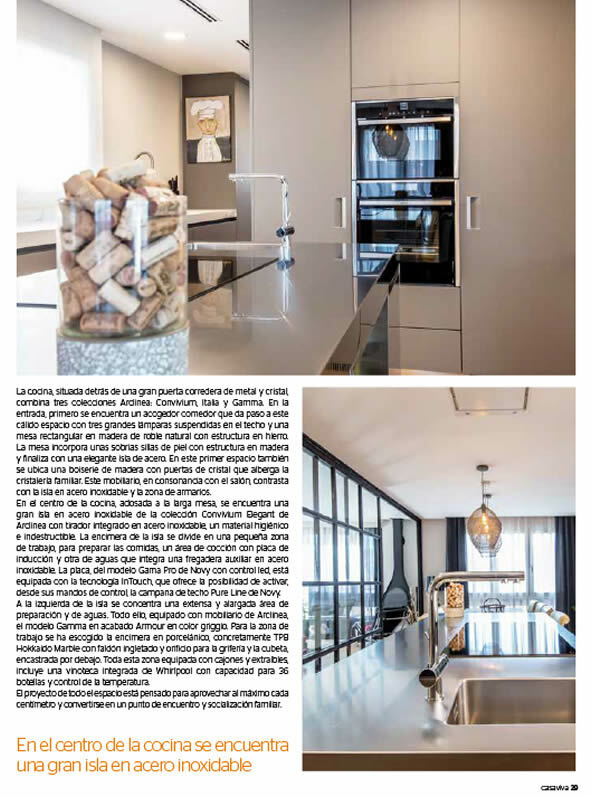 In the kitchen of the apartment is present the model Convivium Elegant Colour Lacquer mate Vinaccia. 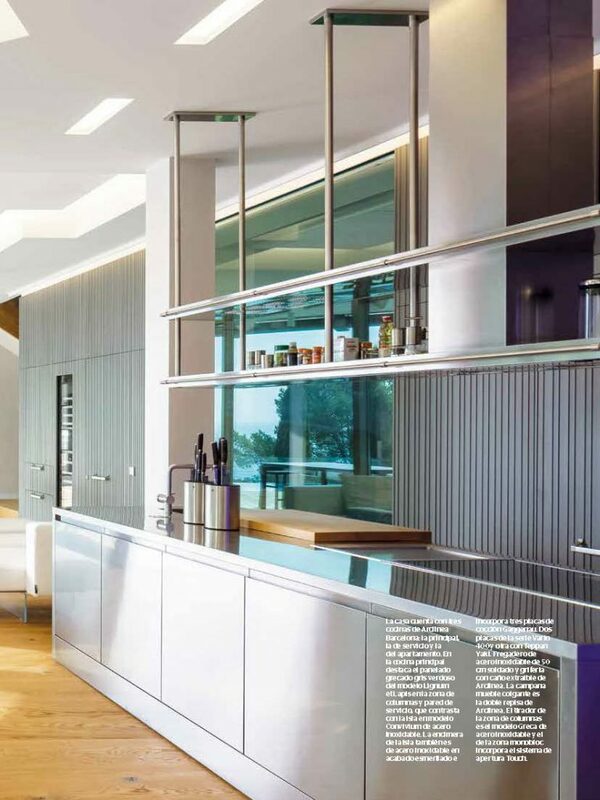 The selected countertop is made of frosted stainless steel. 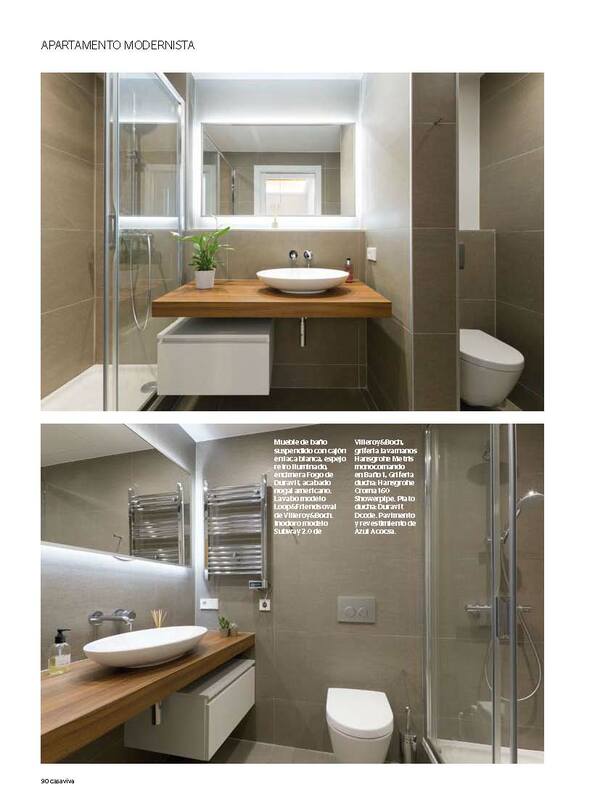 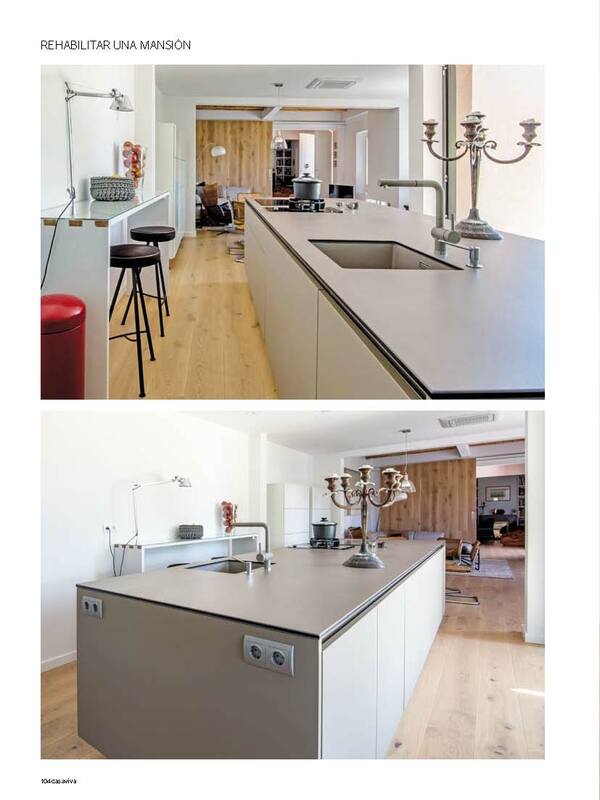 The fittings with removable spout are from Arclinea and the sink is with stainless steel sinks. 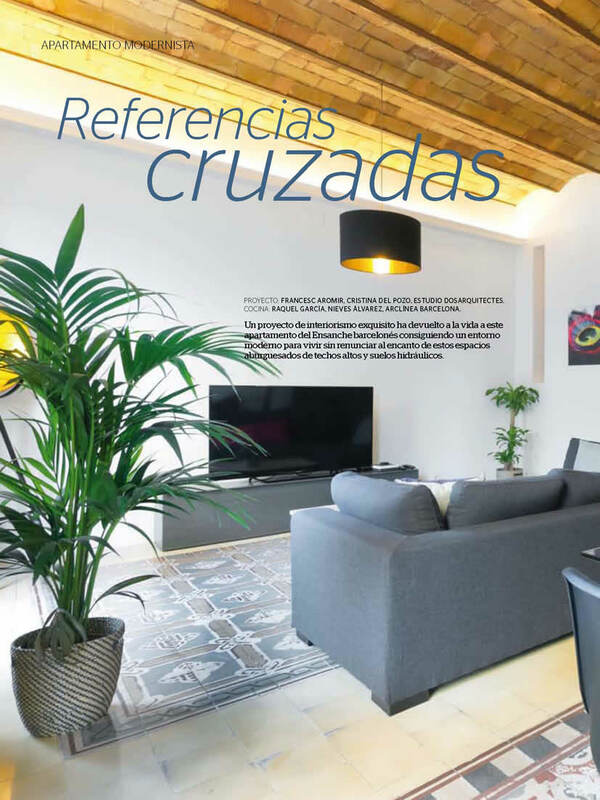 The photographs have been made by Simón García. Delighted to appear once again in the Casa Viva magazine. 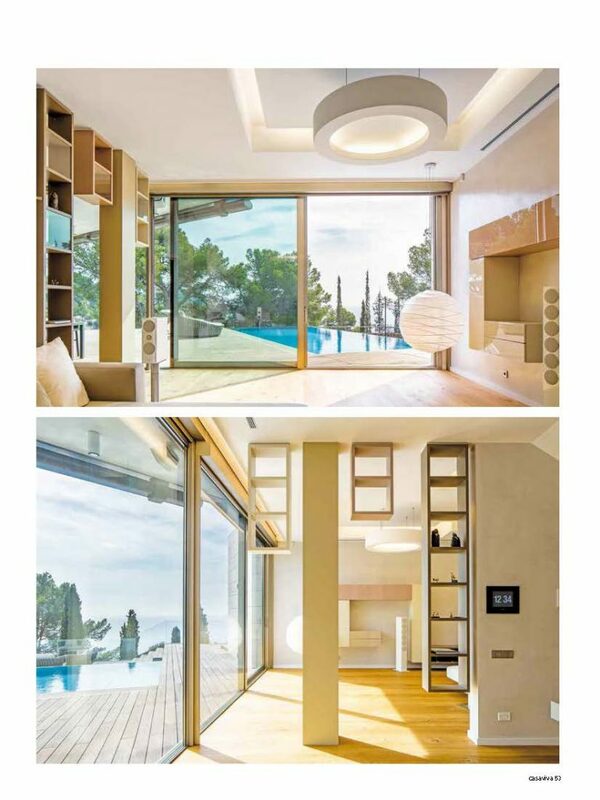 An incredible report for a dream home. 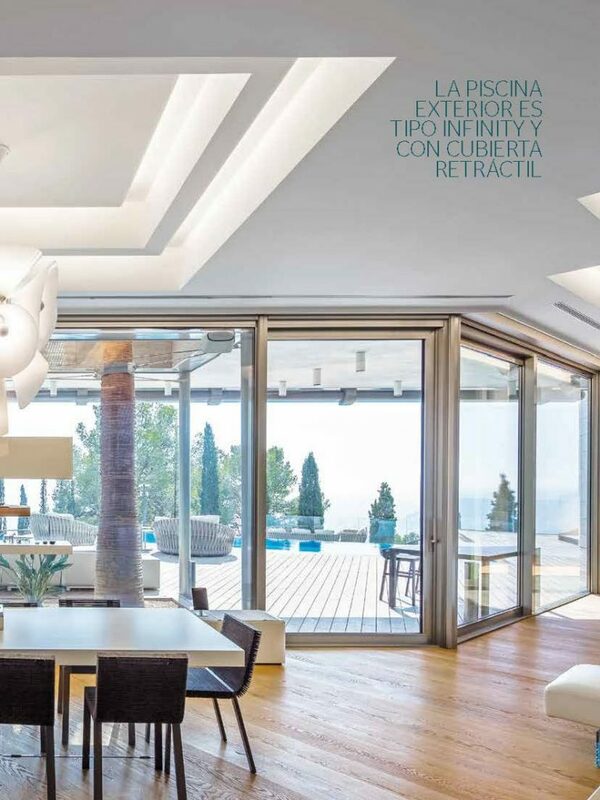 Do not miss the publication in images. 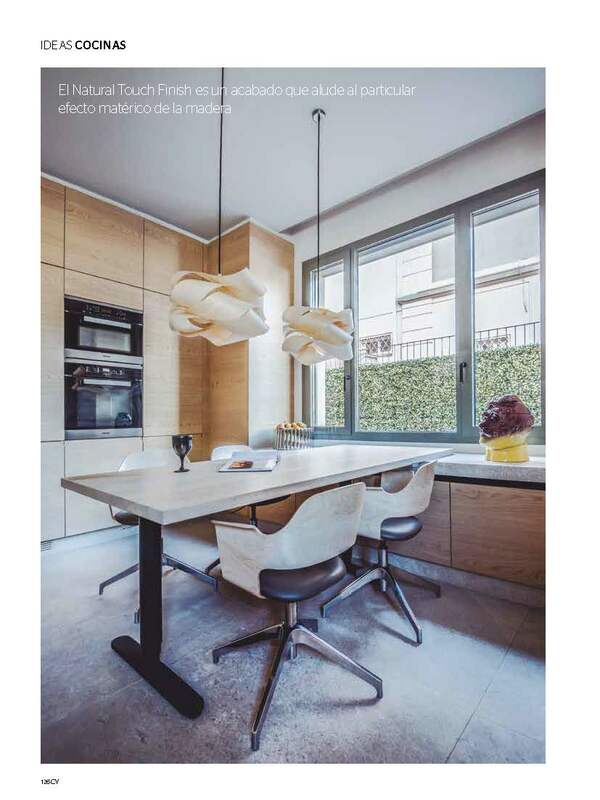 The project, a comprehensive reform in the Eixample neighbourhood of Barcelona by the architect Francesc Aromir and Cristina del Pozo of the DosArquitectes studio and in which Arclinea Barcelona has collaborated in the project of the new kitchen, has been published in number 235 of the prestigious magazine Casa Viva. 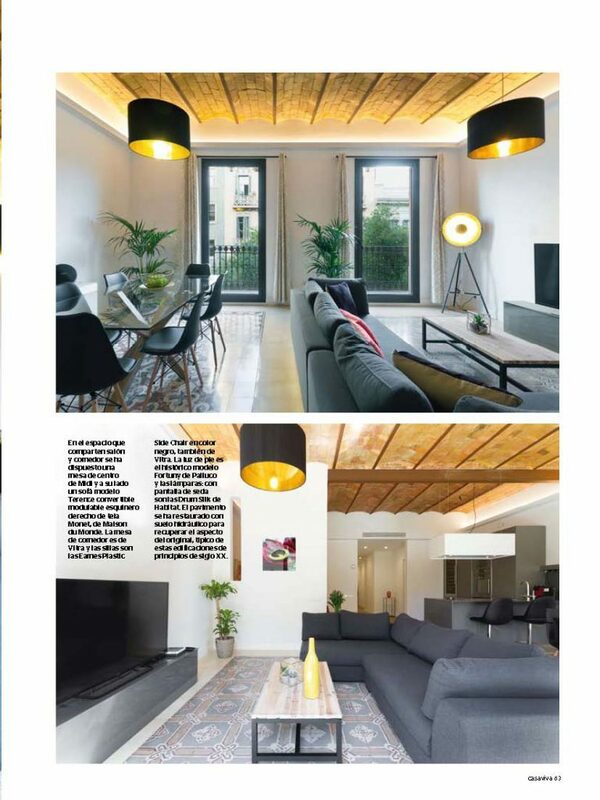 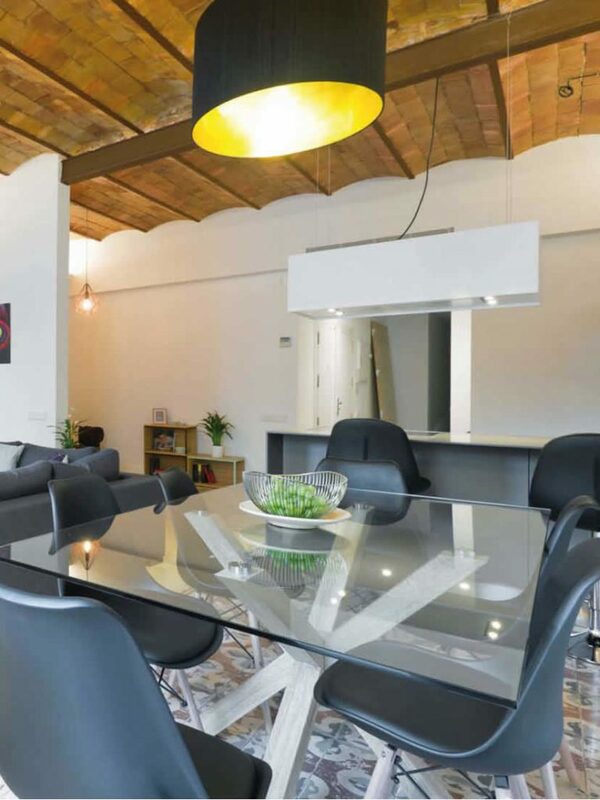 A project where the main objective of the clients was to maintain the original architecture of the house at all times, such as, for example, the Catalan turnaround and the hydraulic floors, very typical of the housing in the Eixample district. 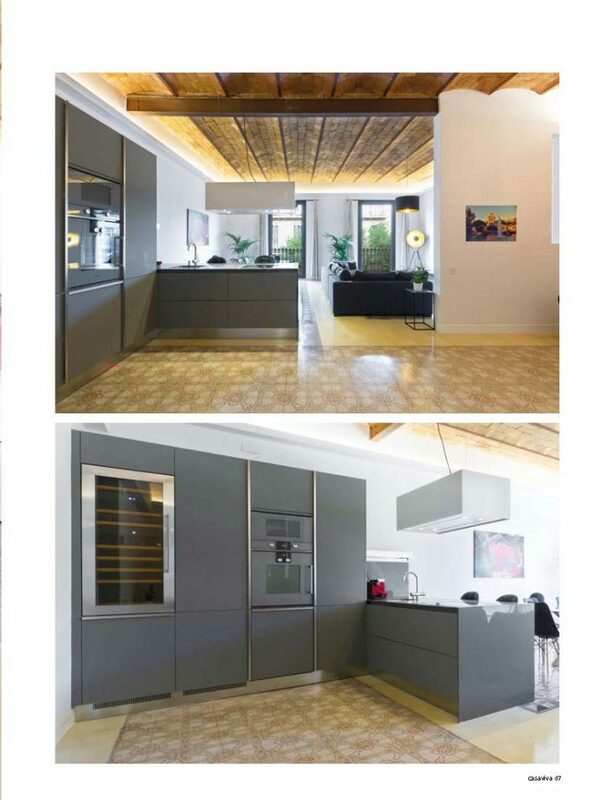 A concept of housing with open spaces and an Arclinea kitchen integrated into the living room. 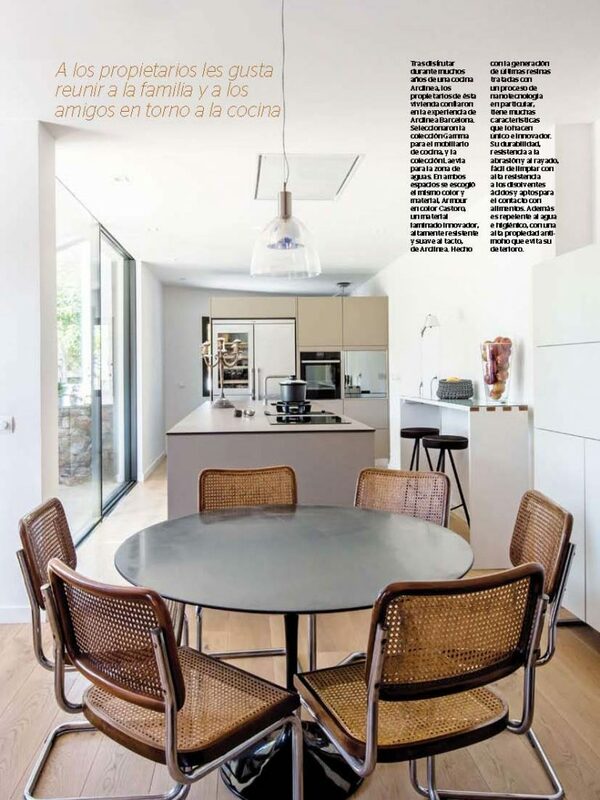 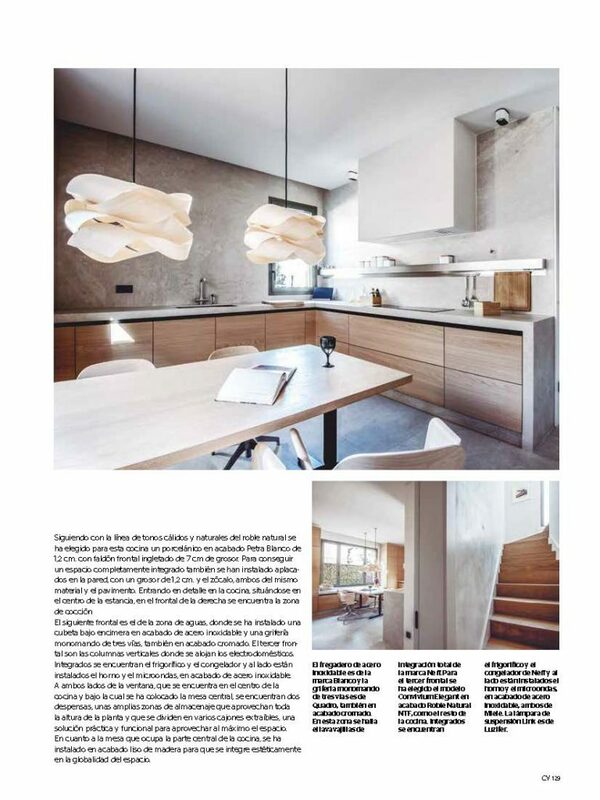 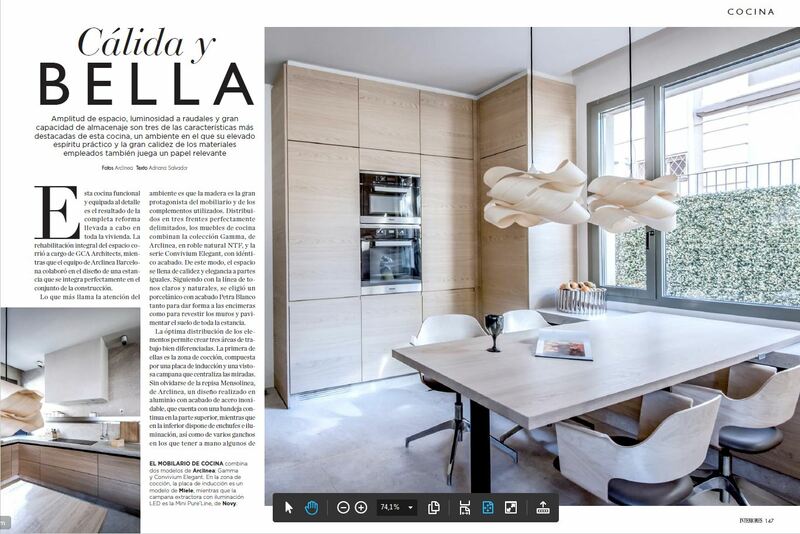 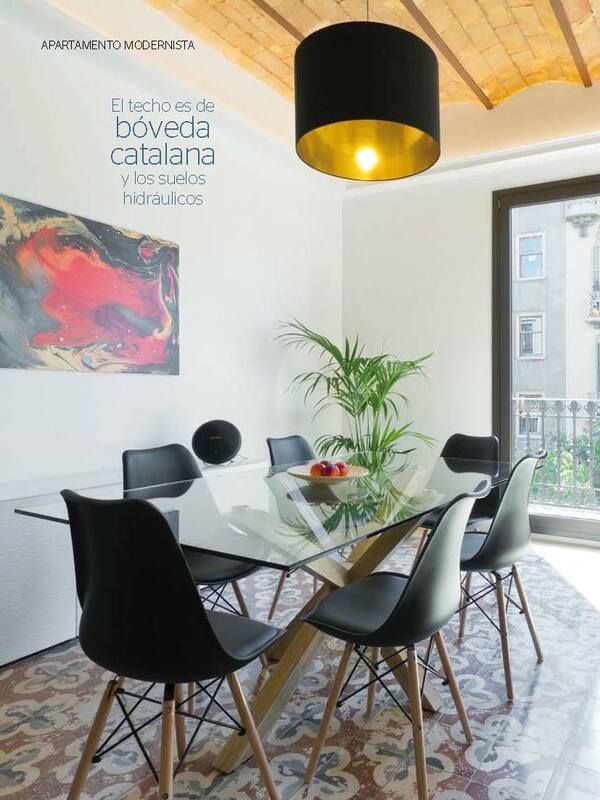 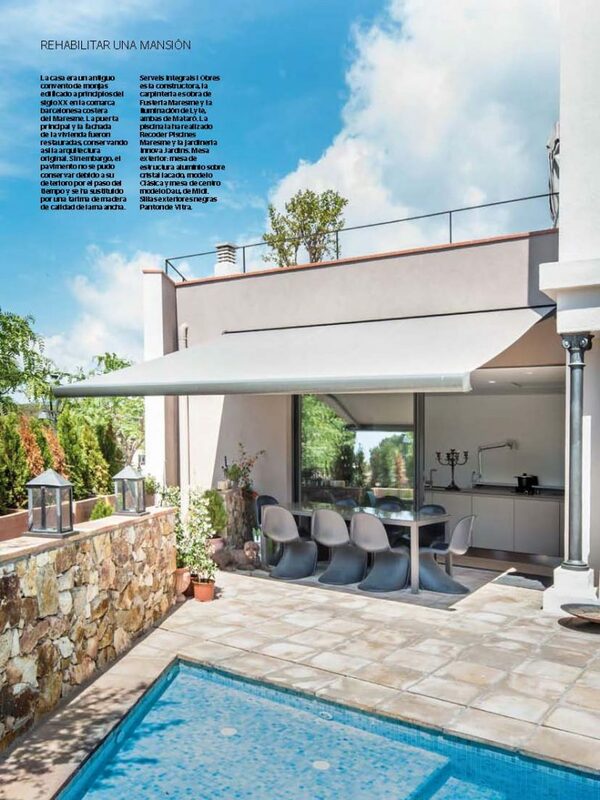 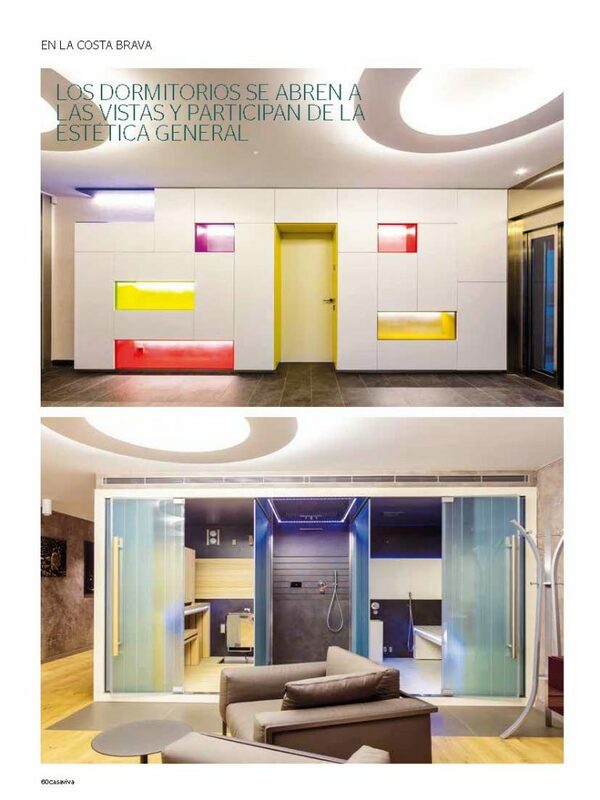 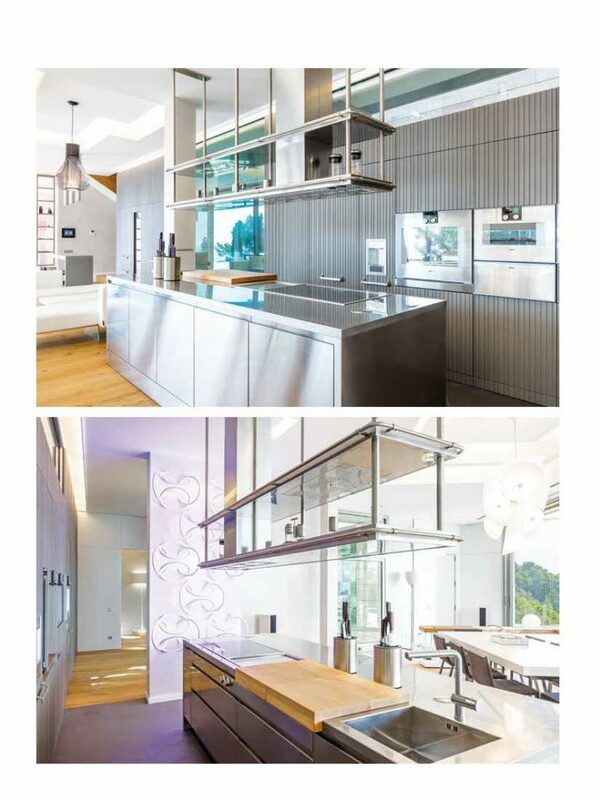 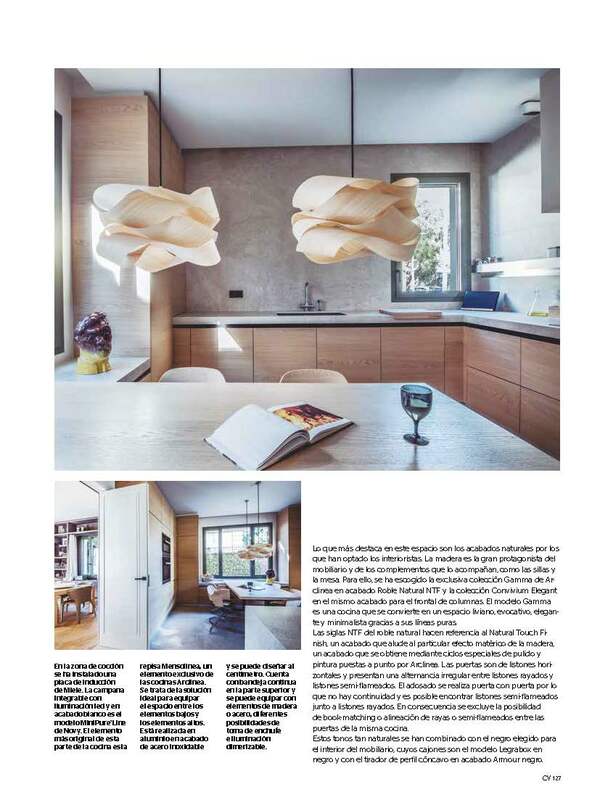 One of our latest kitchen projects, published in the prestigious magazine Casa Viva nº 233. 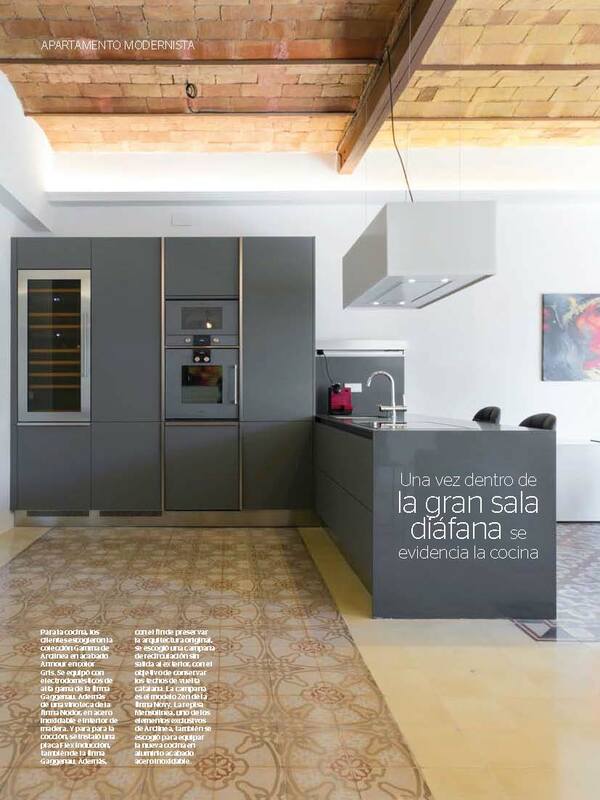 An Arclinea kitchen project for a large old and renovated house, in Sant Vicenç de Montalt. 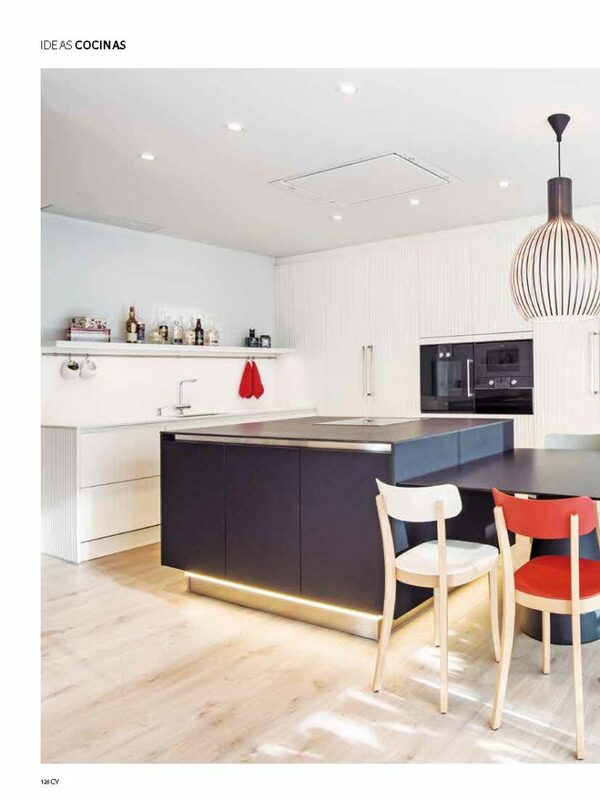 A house that breathes the aesthetics of the past century but enjoys all the advances of this, starting with a magnificent Arclinea kitchen designed to work and share all year with family and friends. 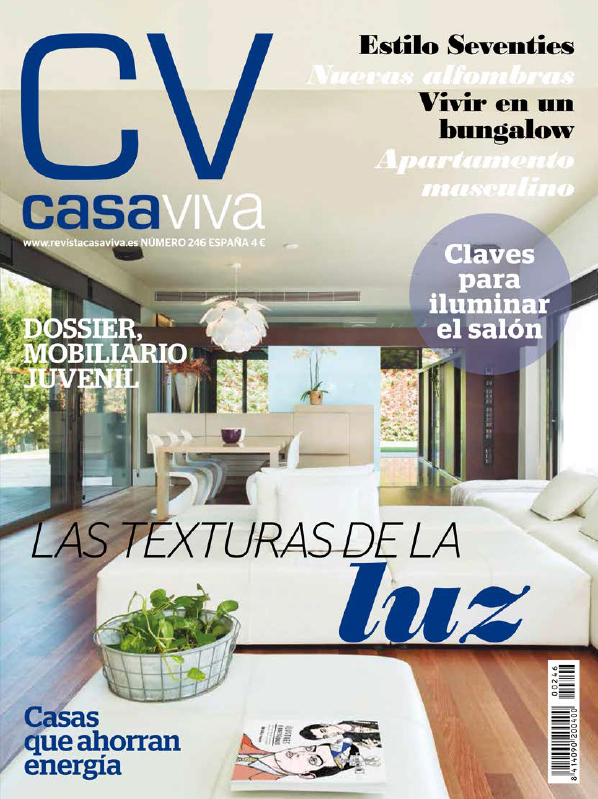 Pleased to appear once again, in the written press with Casa Viva magazine. 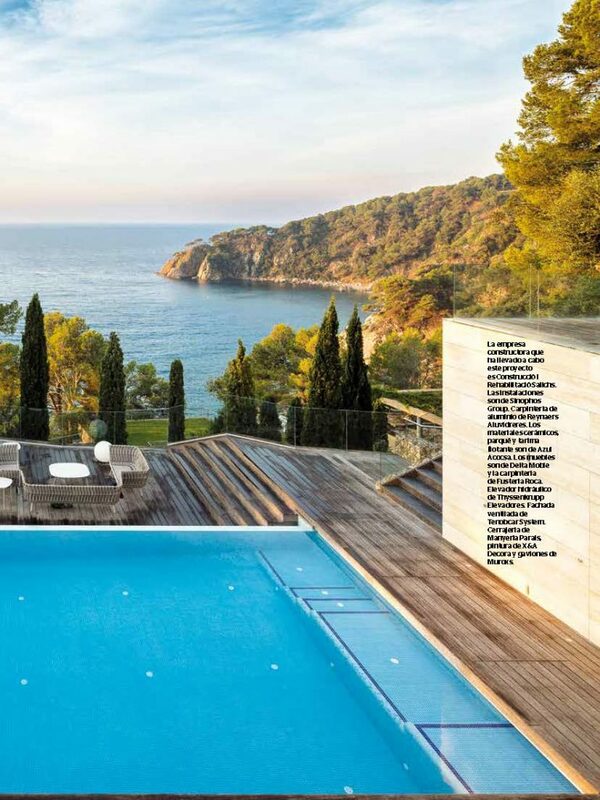 An incredible report for a dream home. 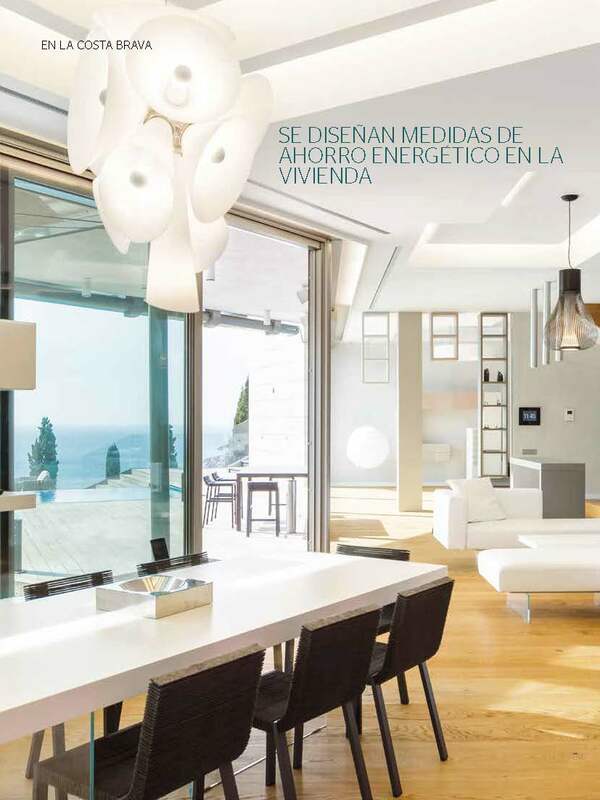 Do not miss the publication in images. 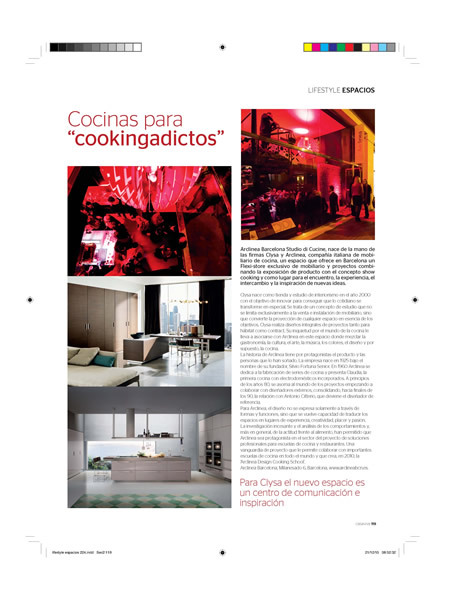 Inauguration at Arclinea Barcelona: Event in Red! 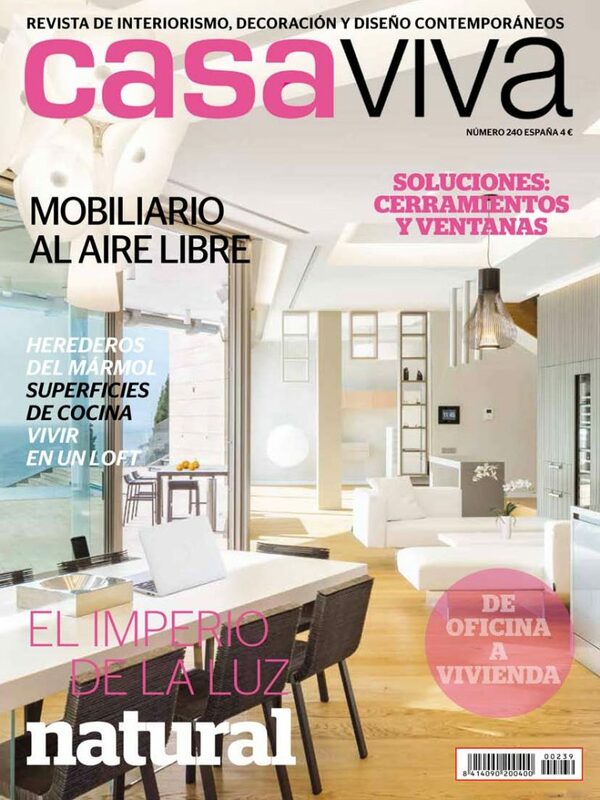 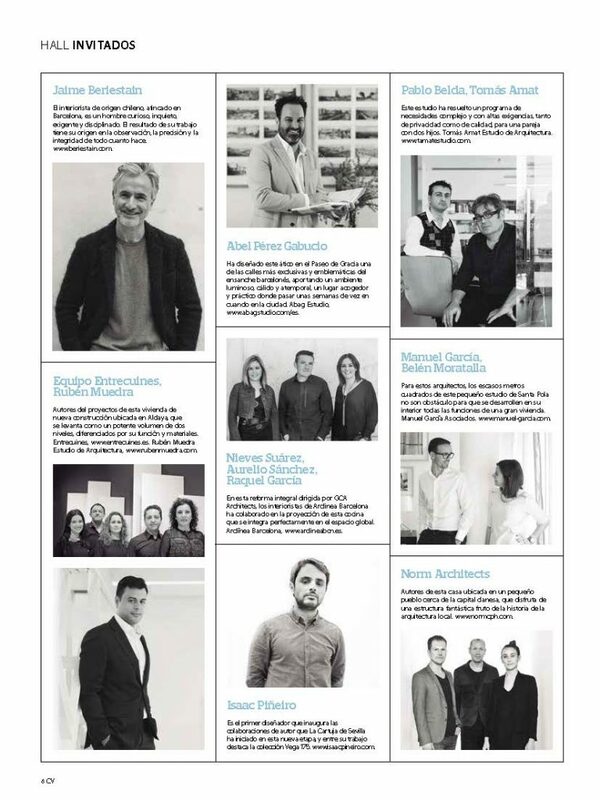 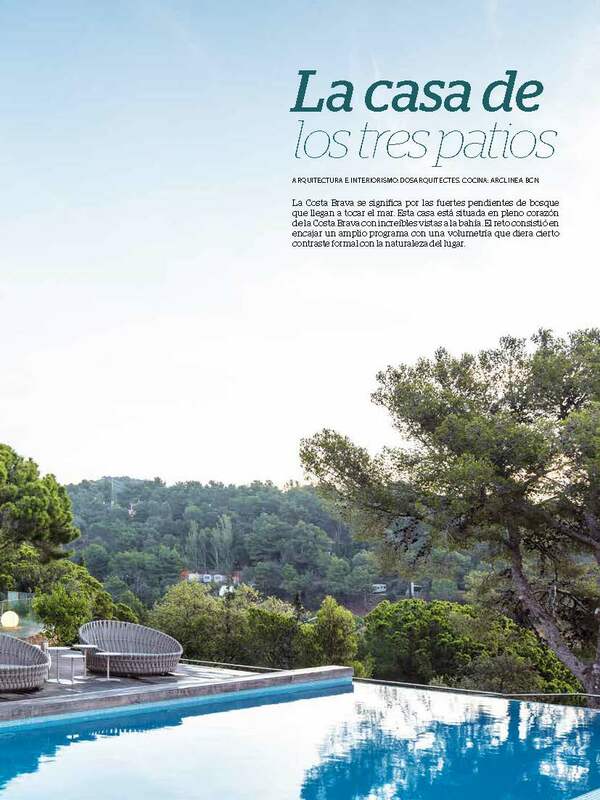 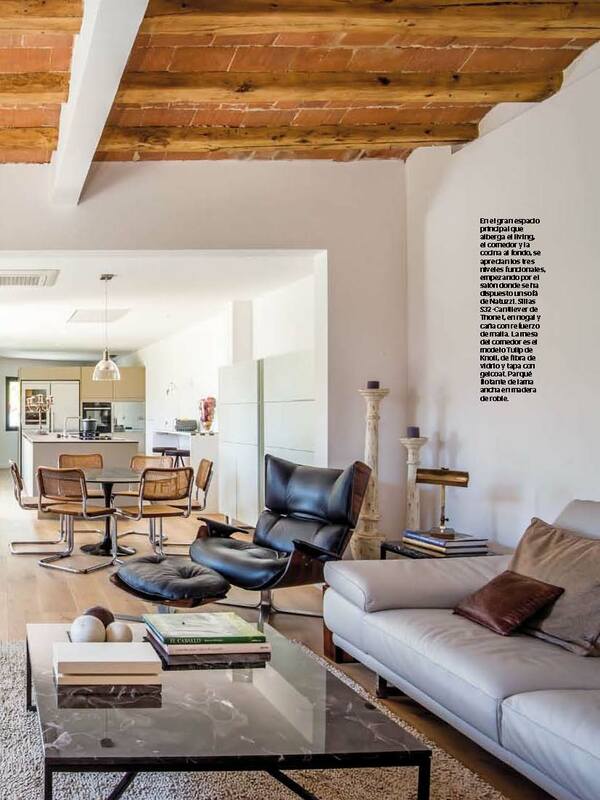 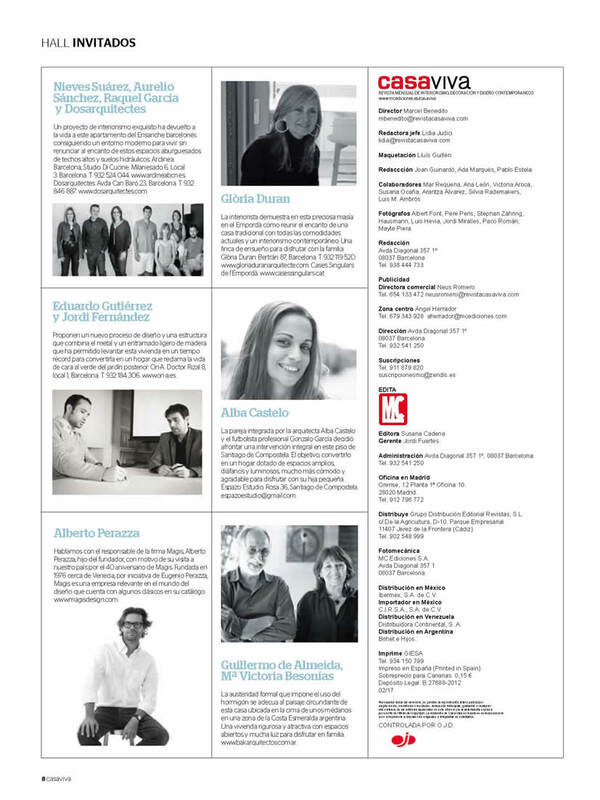 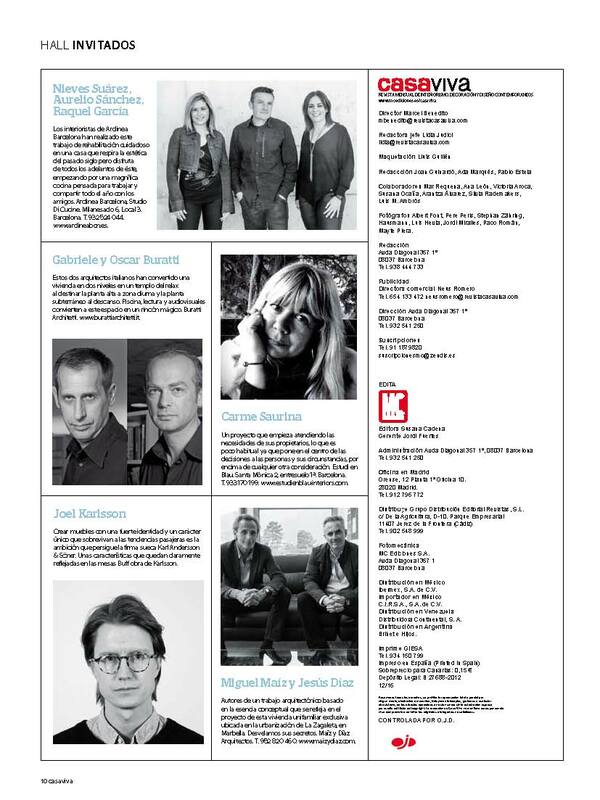 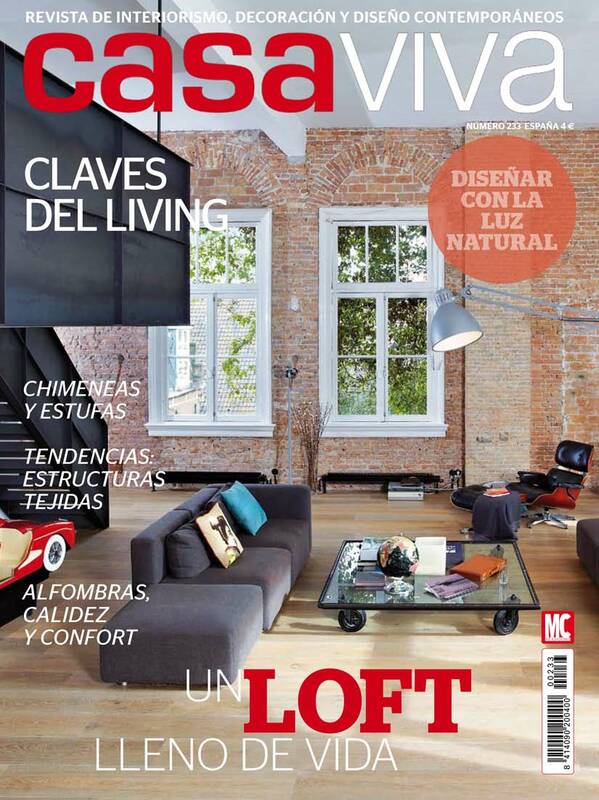 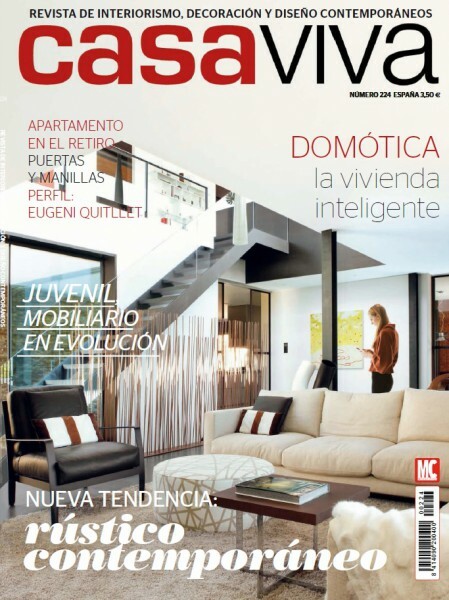 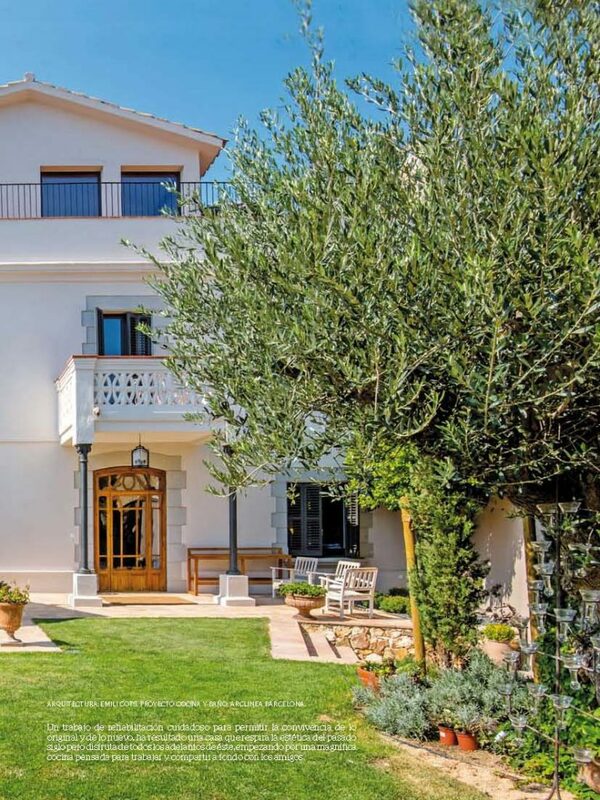 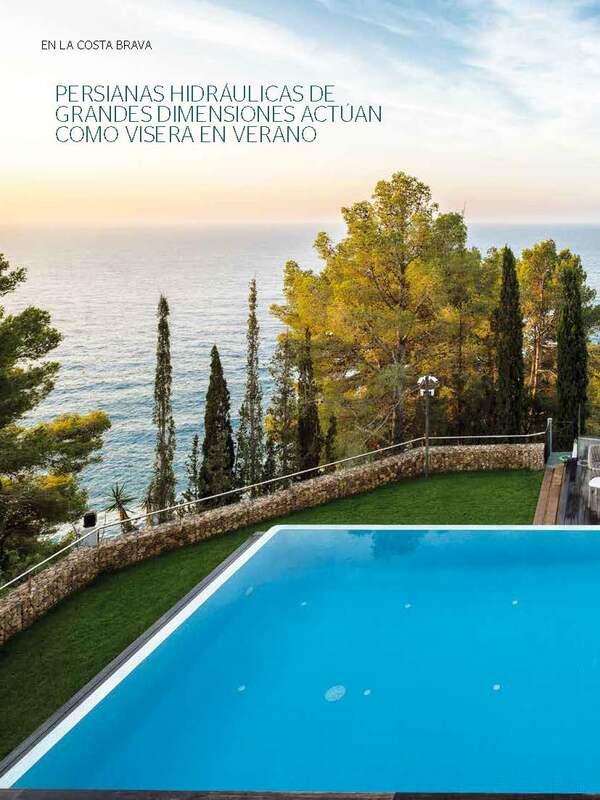 The magazine Casa Viva, echoes the reopening of the Arclinea Barcelona space, on the 12th of November 2015.